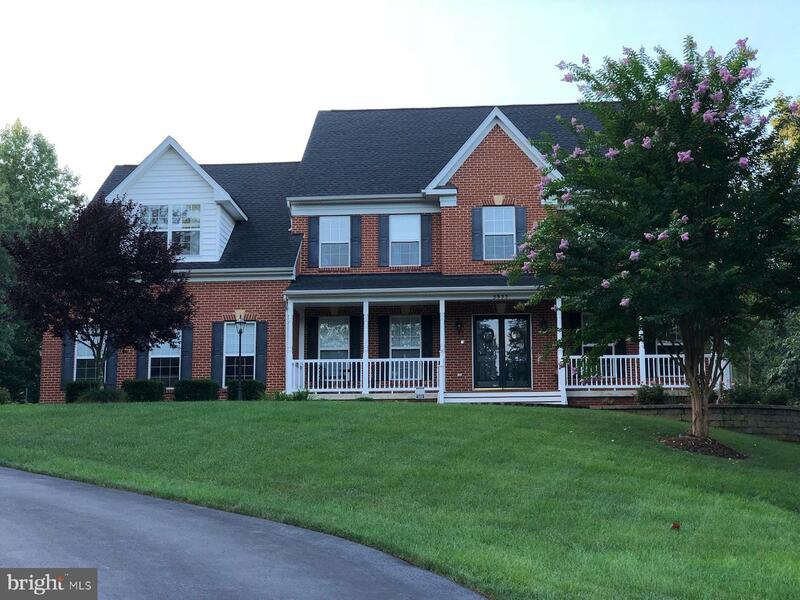 There~s something about the way this house sits that suggests it was meant to be special from the beginning. 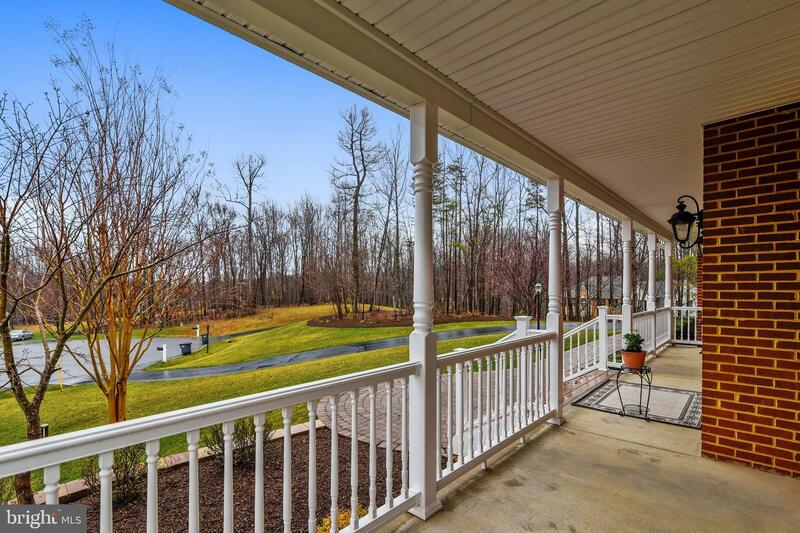 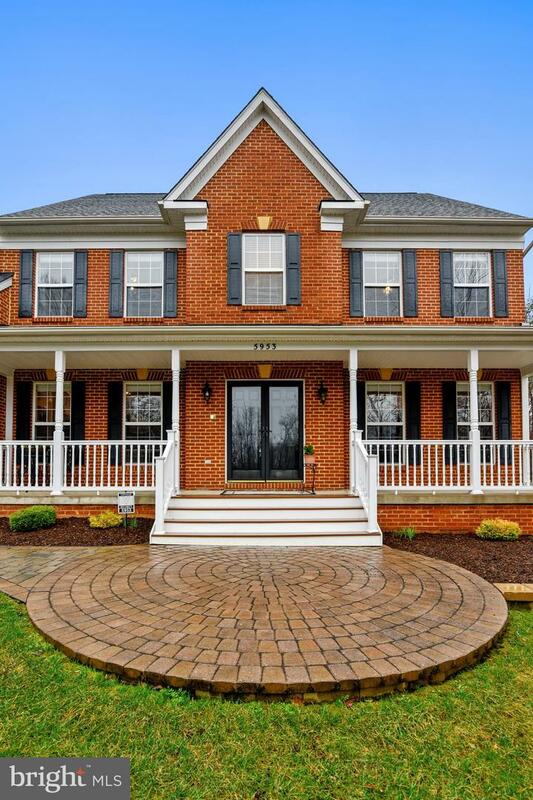 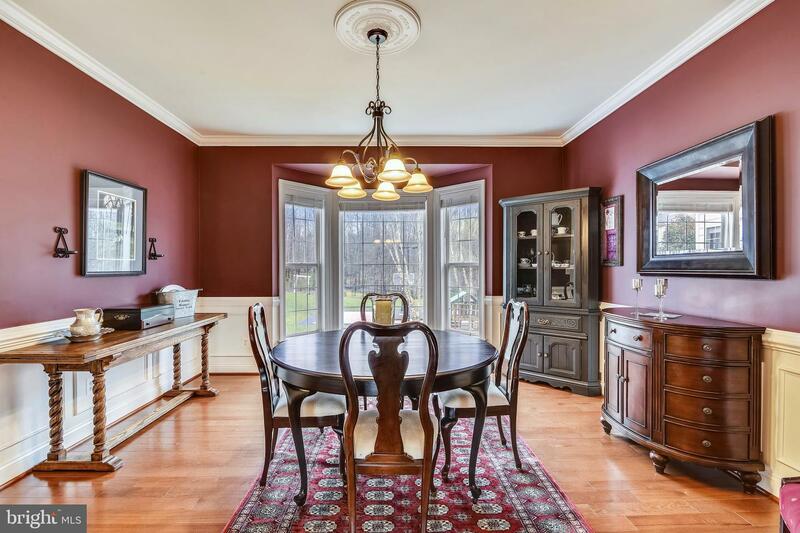 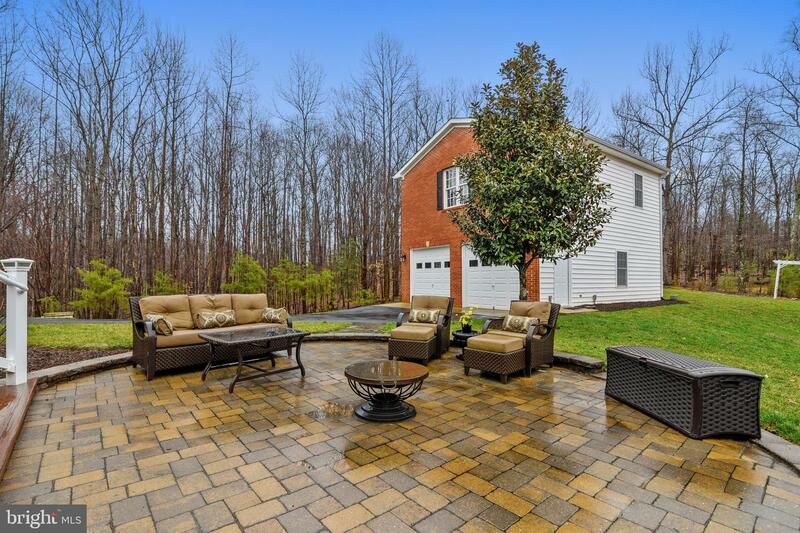 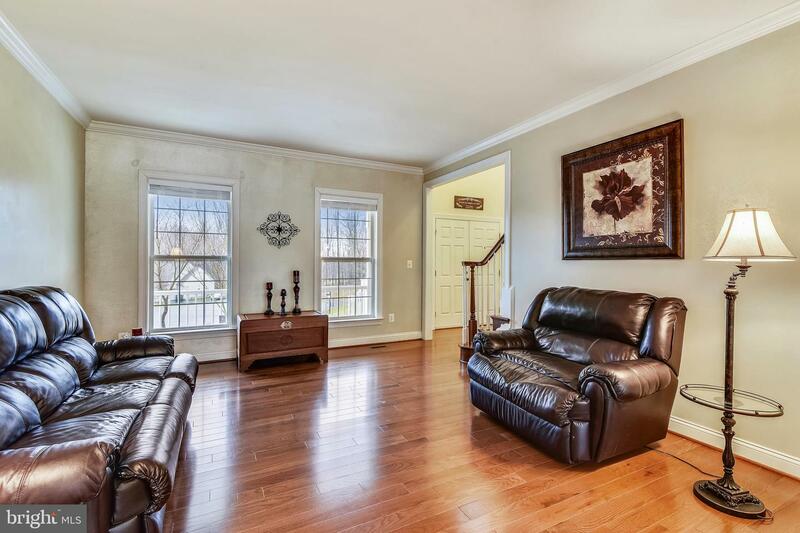 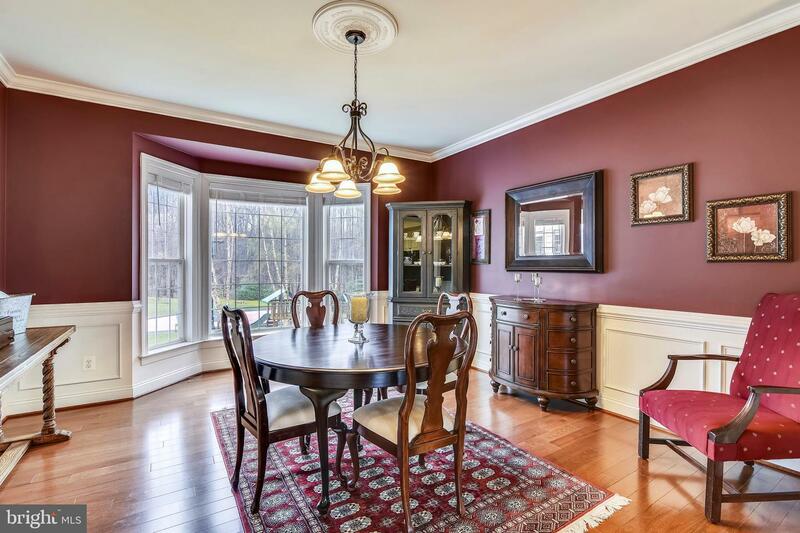 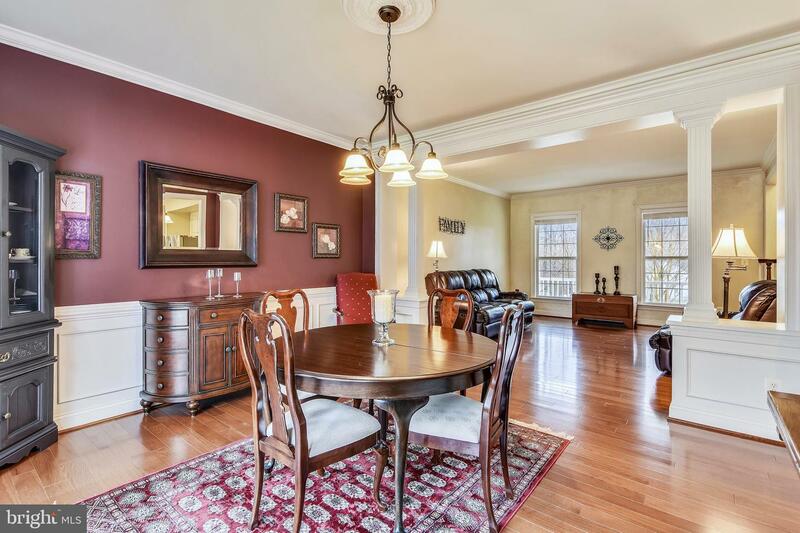 Situated on a cul -de-de-sac lot with 3.55 acres, this beautiful brick-front colonial and its large white front porch with hand laid stone walkway and circular patio will give you a warm welcome home. 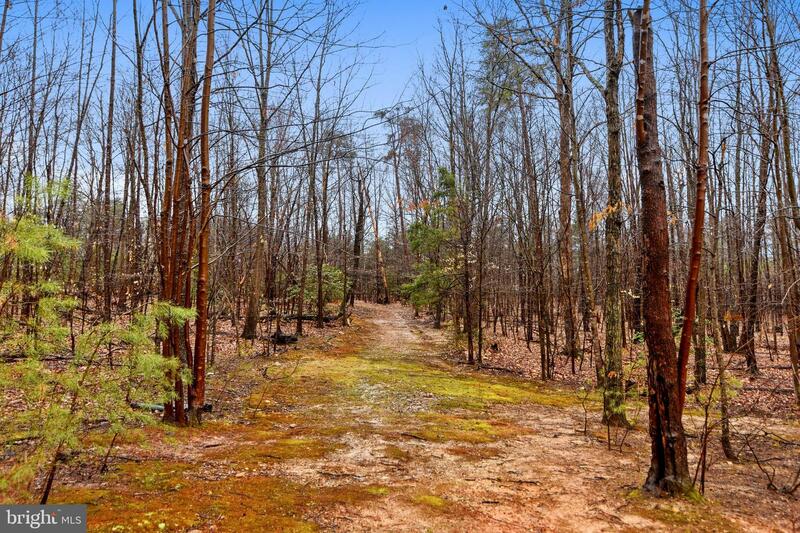 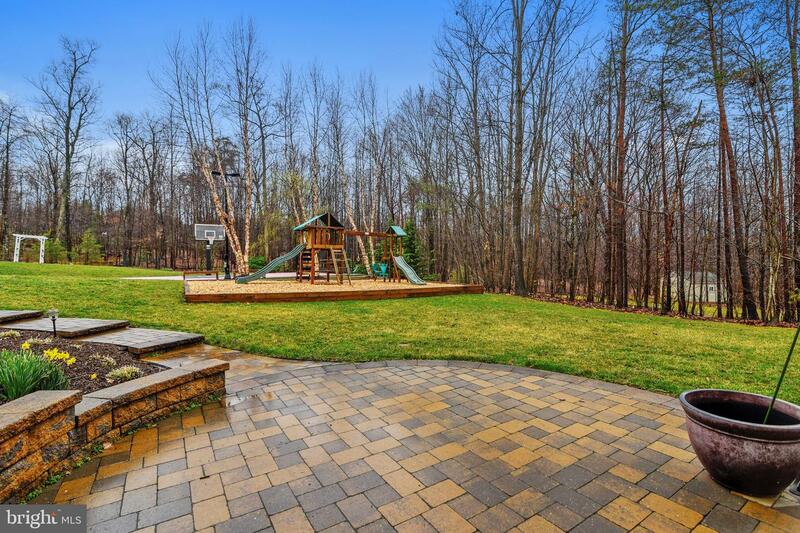 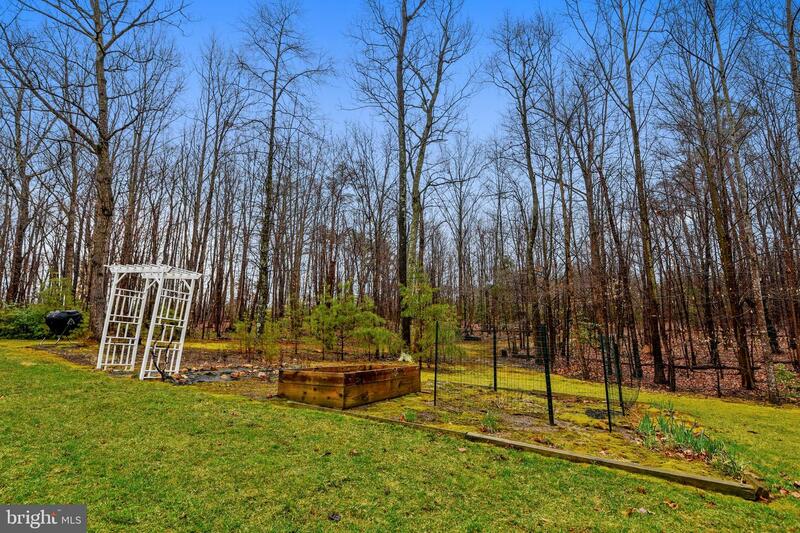 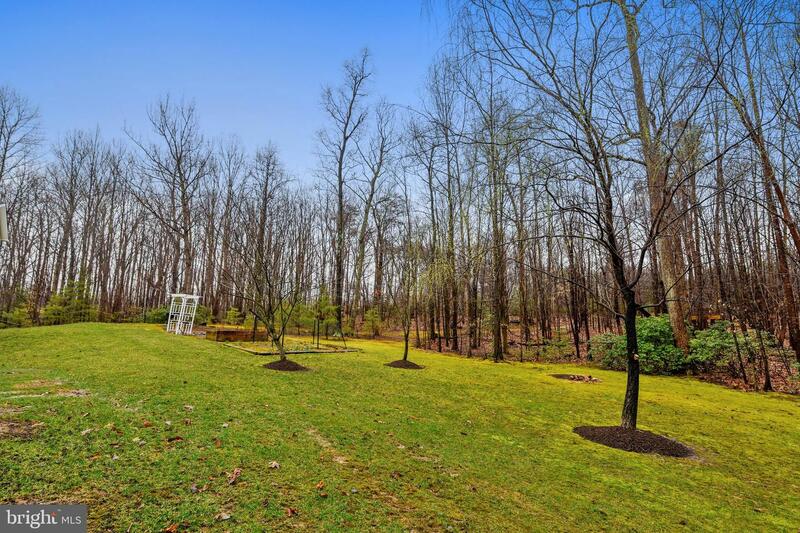 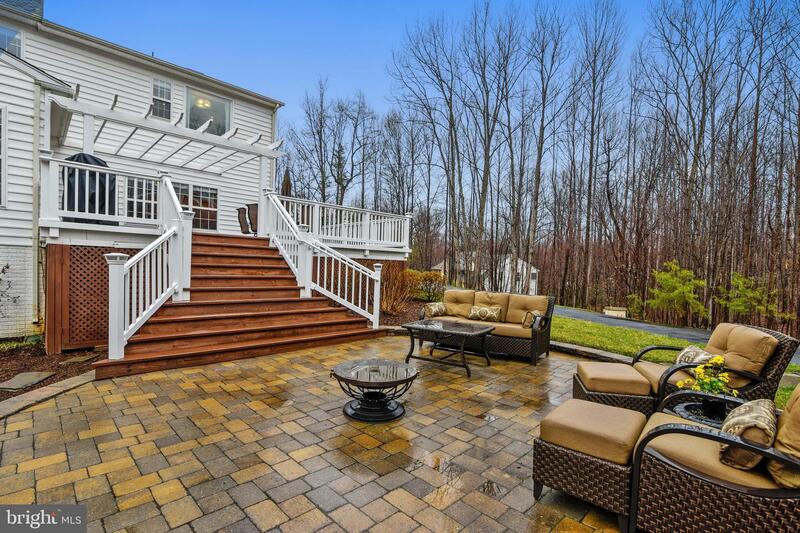 Woods along the sides and to the rear of the house give it a more secluded and private feel, and spring flowers are just starting to pop color along the tree lines and in the perennial flower gardens in back. 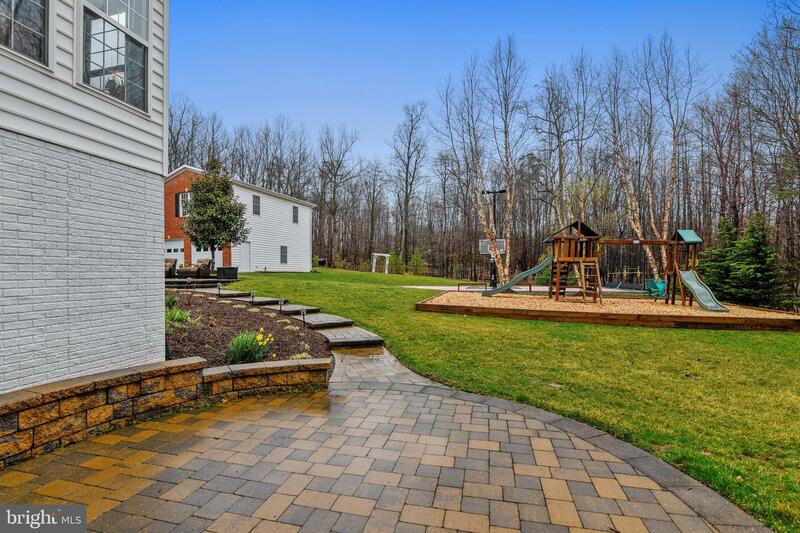 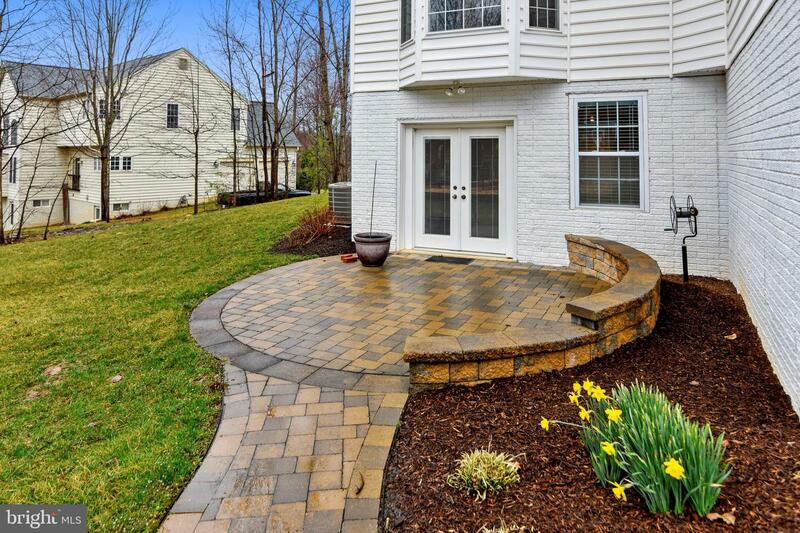 A hand-laid stone walkway also leads to the professionally-designed twin circular stone patios and inviting recreation areas in the gorgeous back yard where you and your guests can choose from several venues to relax and enjoy quiet conversations. 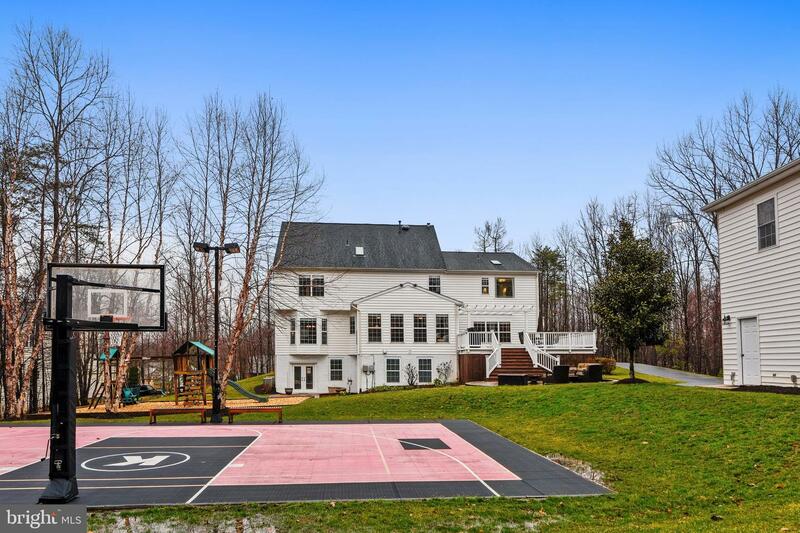 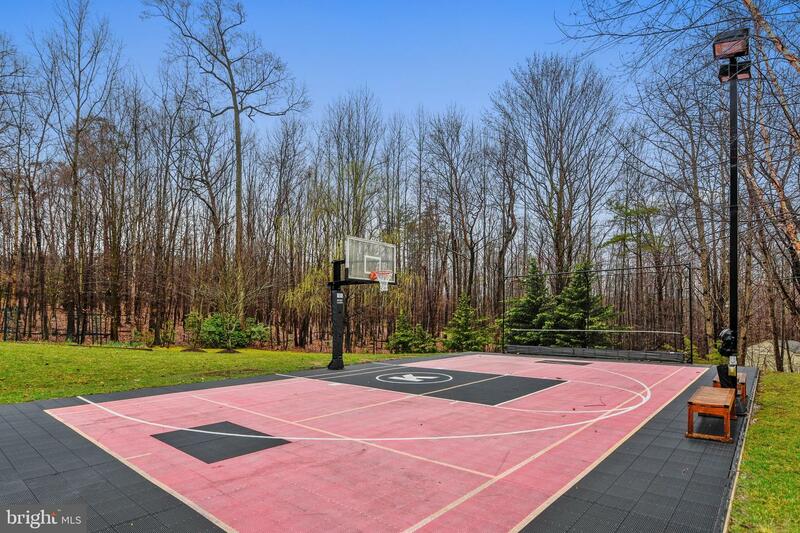 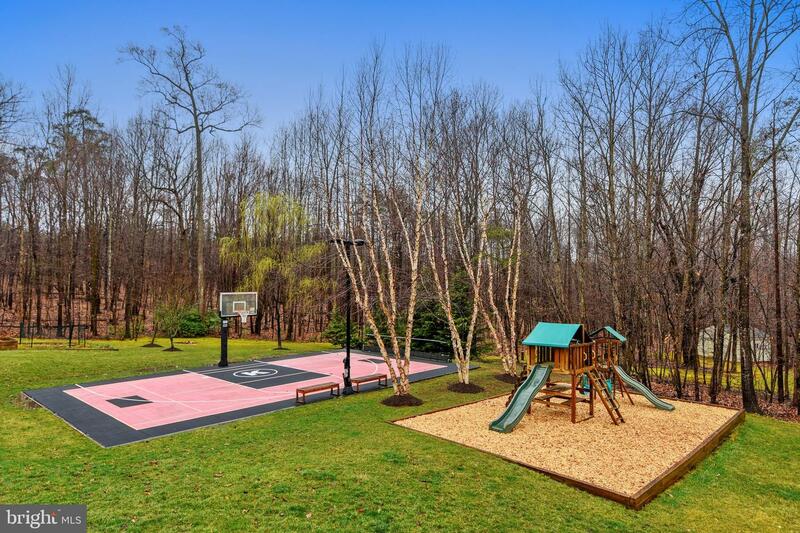 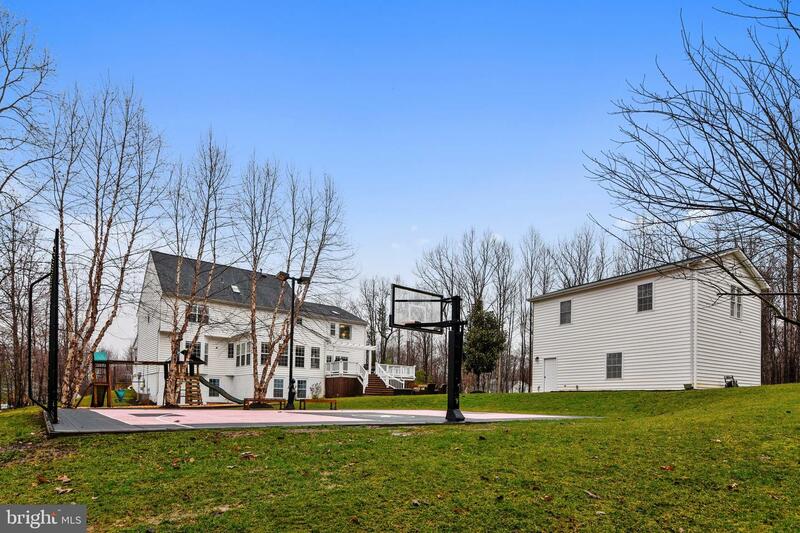 Or~ you might want to lace up the sneakers and enjoy the newly renovated and lighted multi-sports court which features basketball, tennis or volleyball. 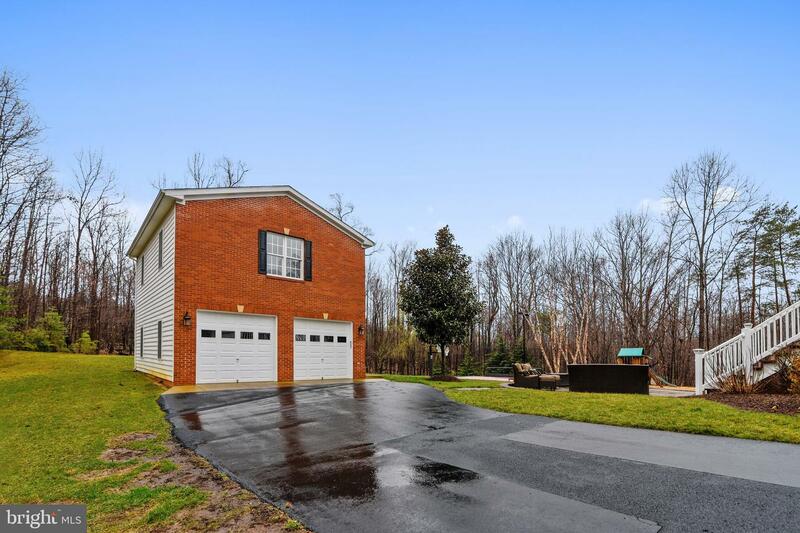 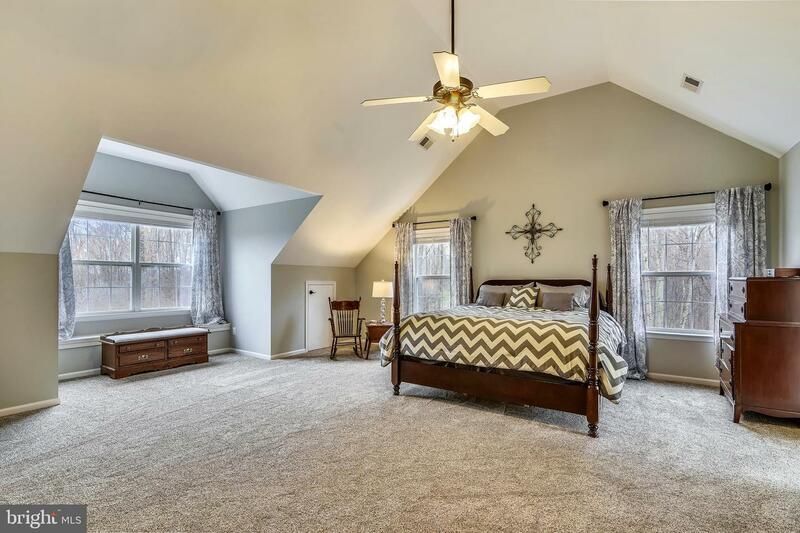 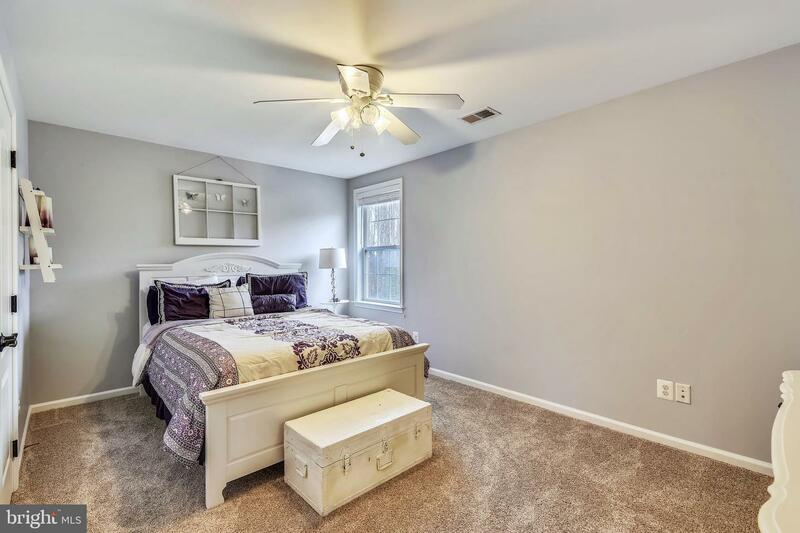 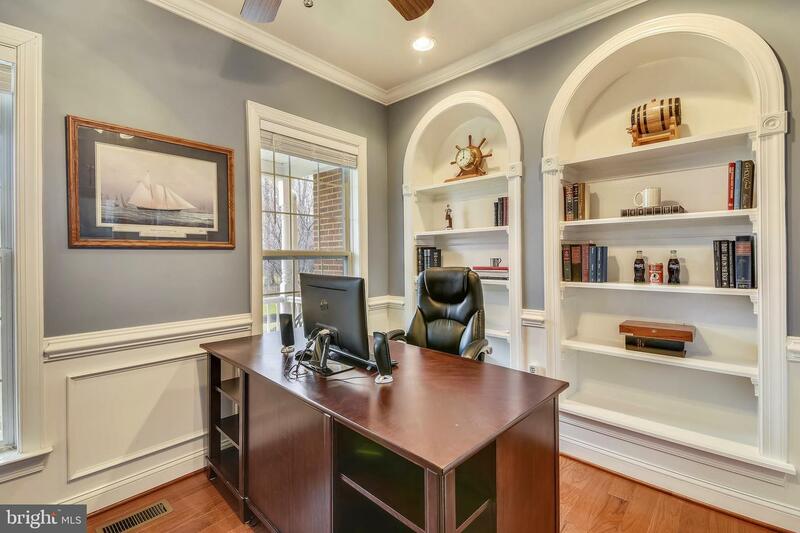 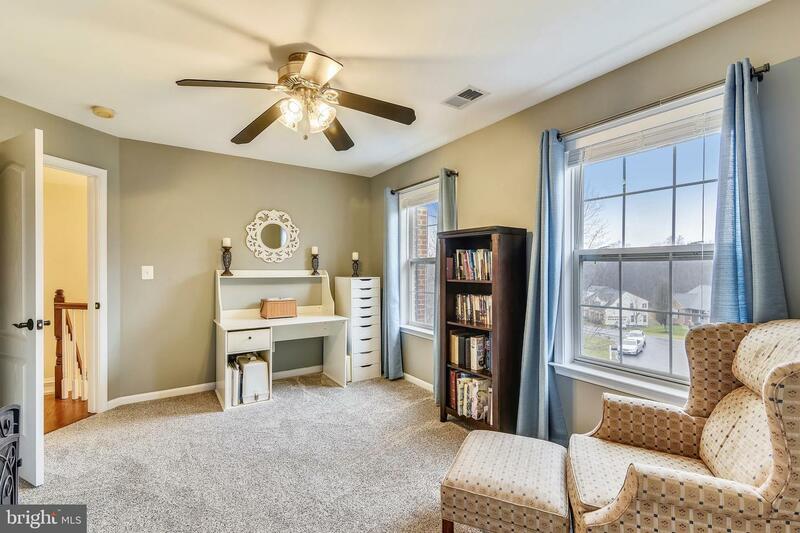 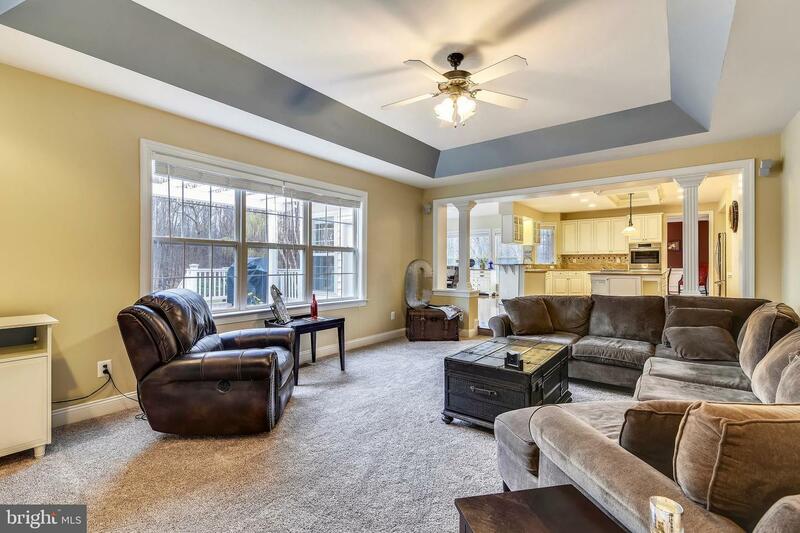 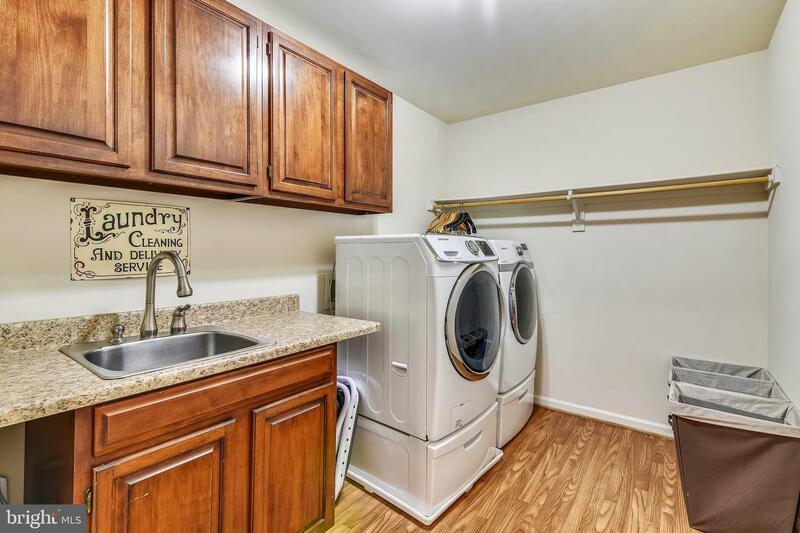 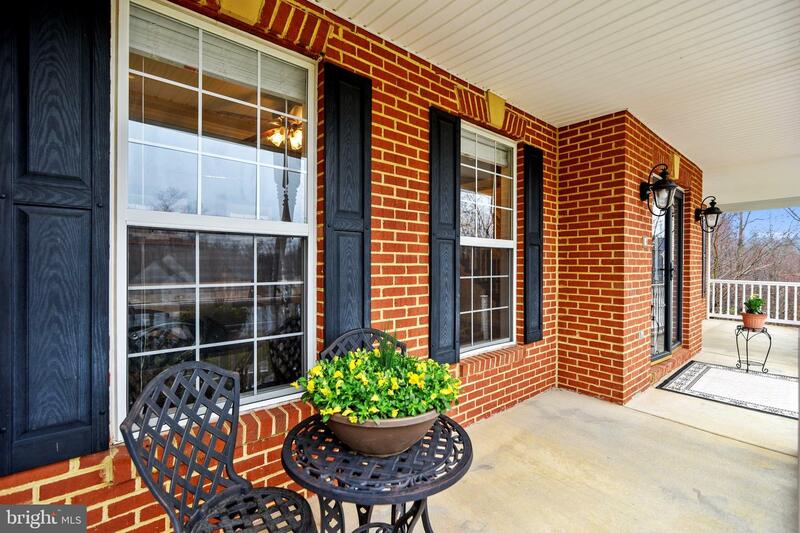 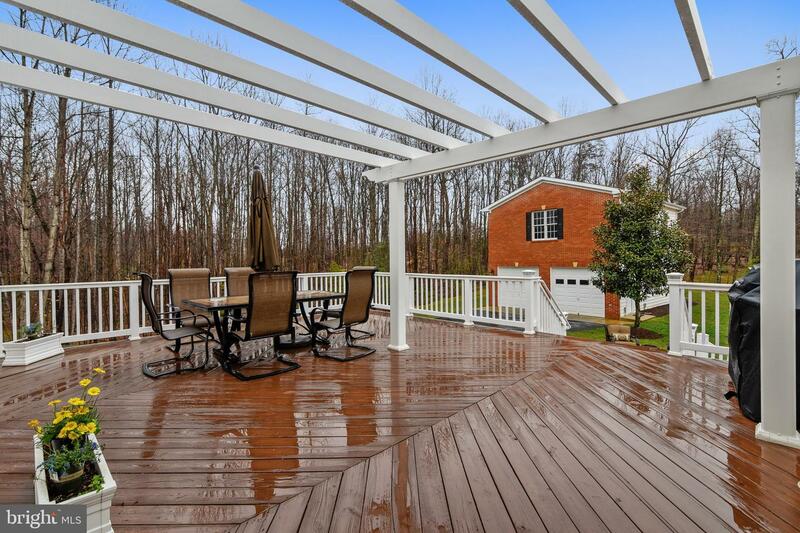 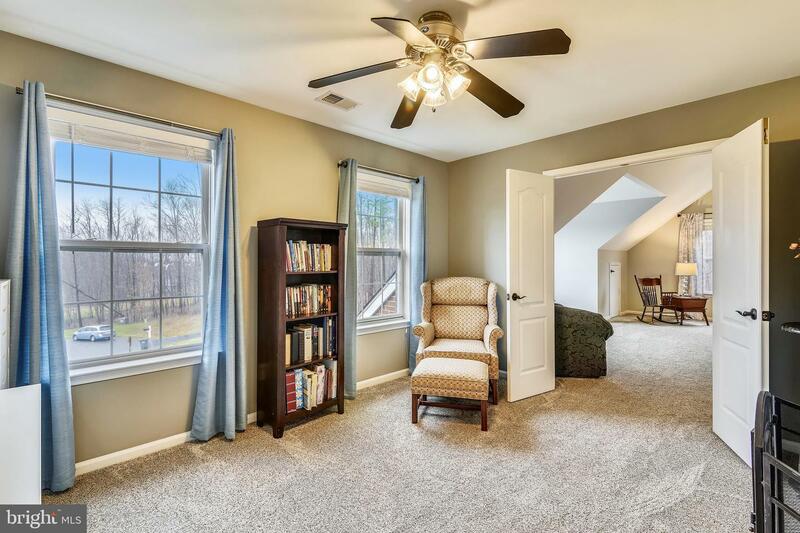 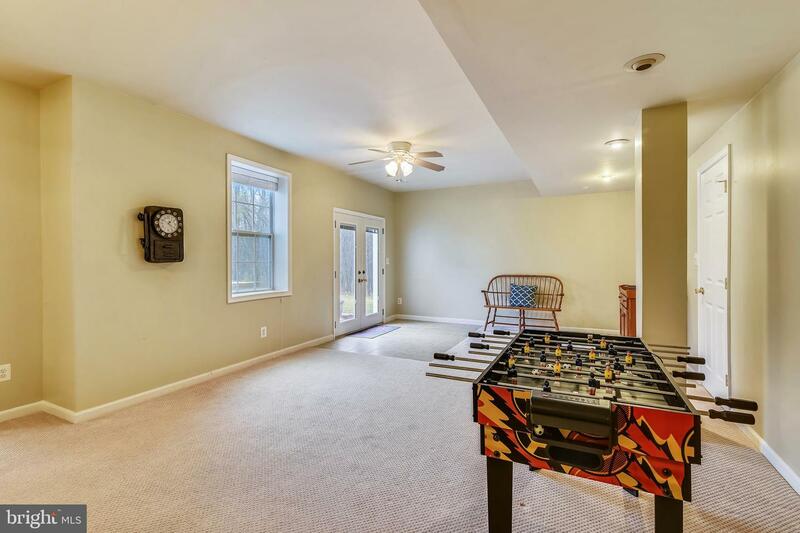 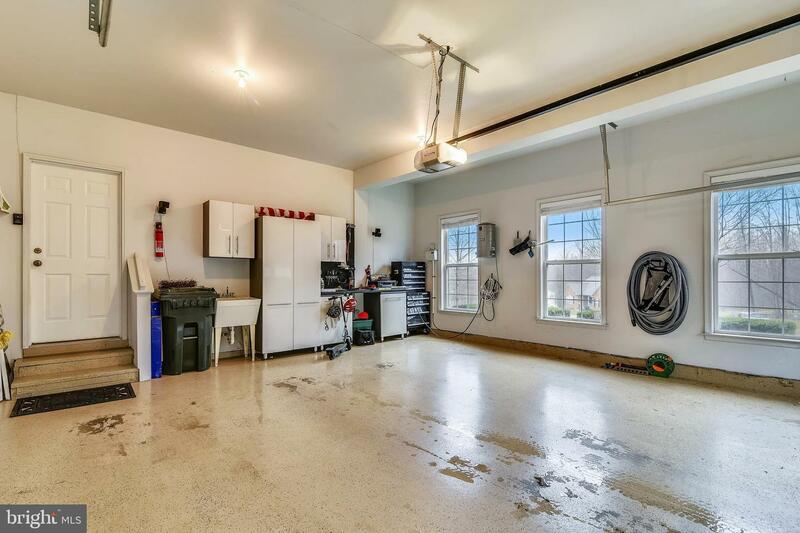 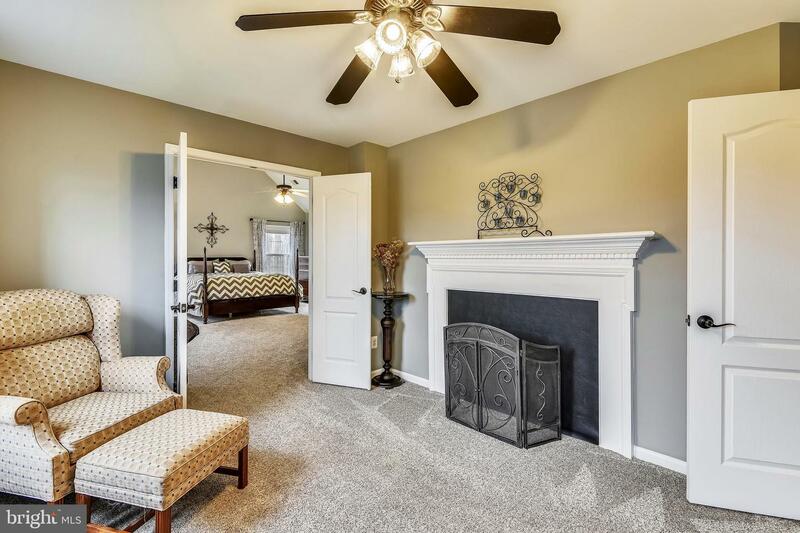 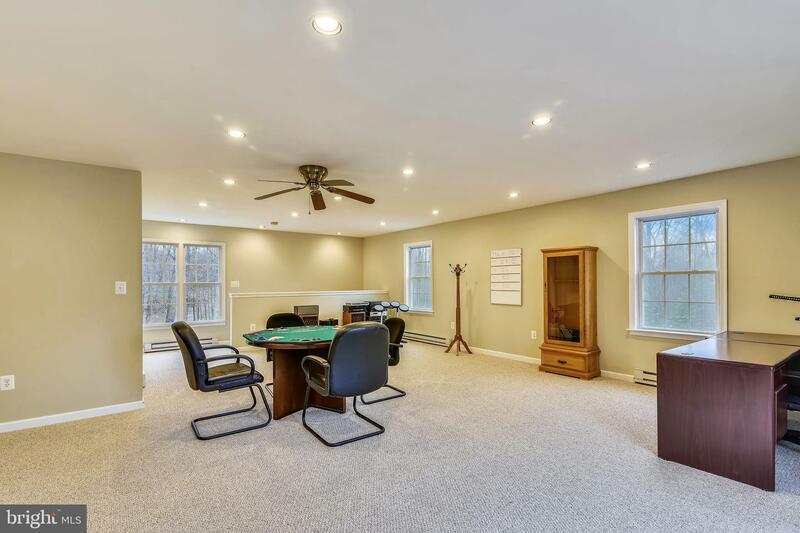 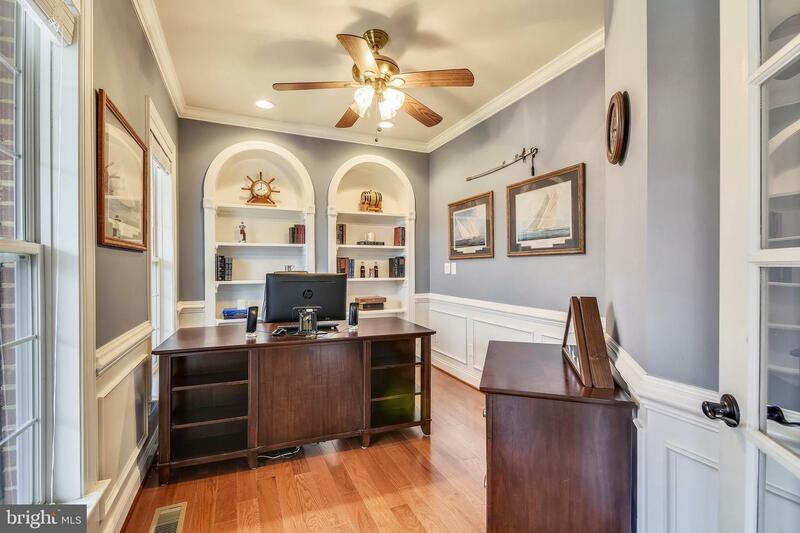 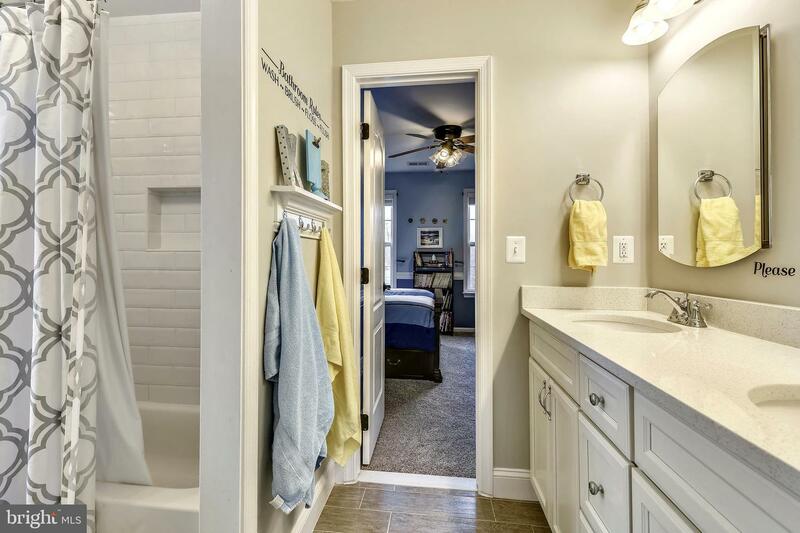 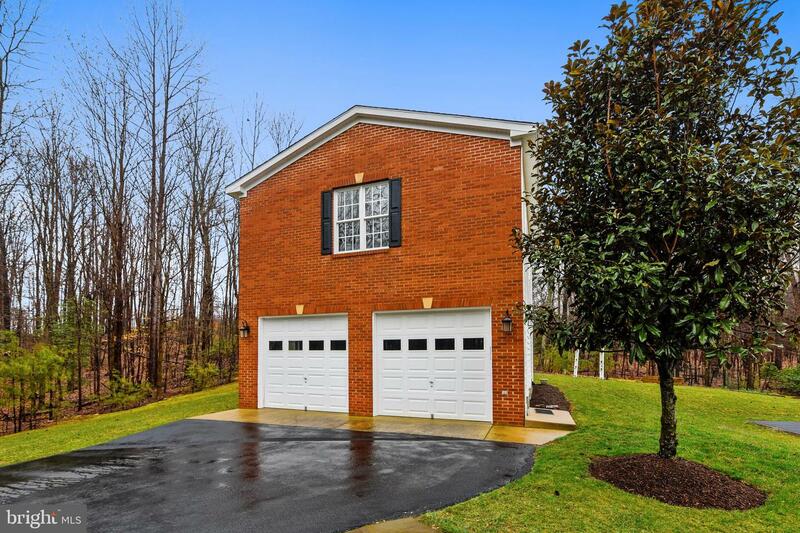 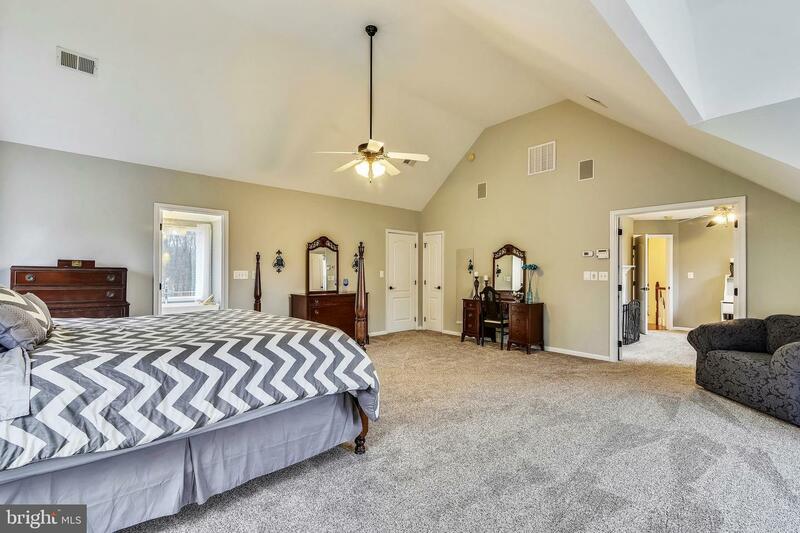 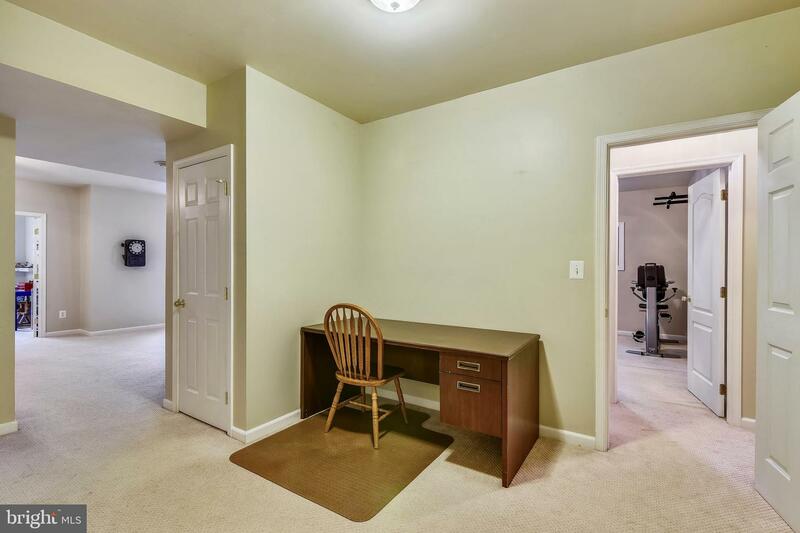 A special surprise bonus is the additional 2-car detached brick-front garage with finished heated space above (with half bath) that will be perfect as a home office, hobby or craft room, or small business center. 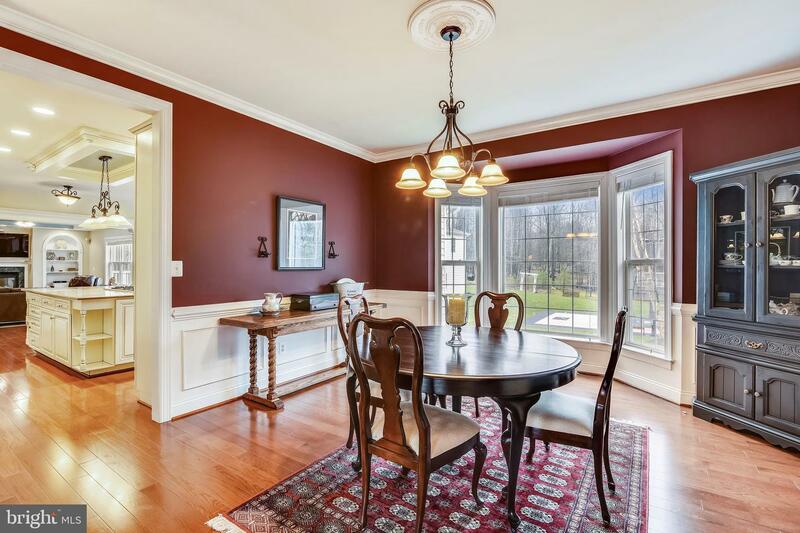 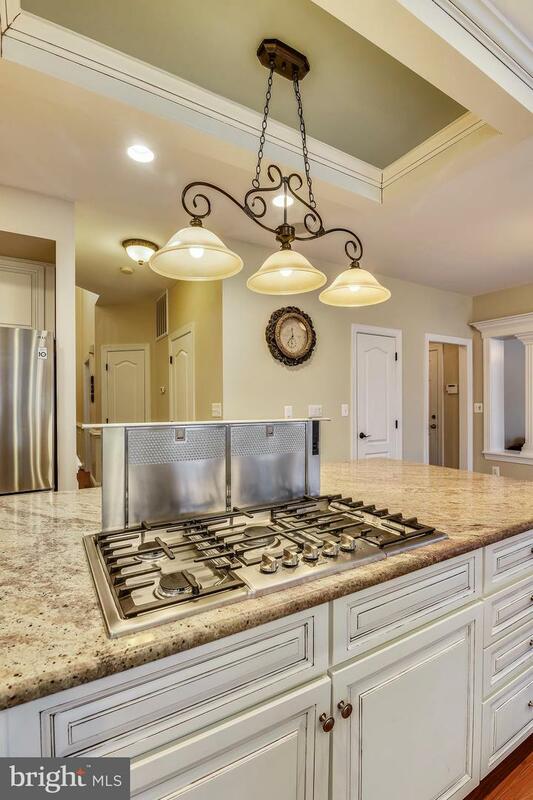 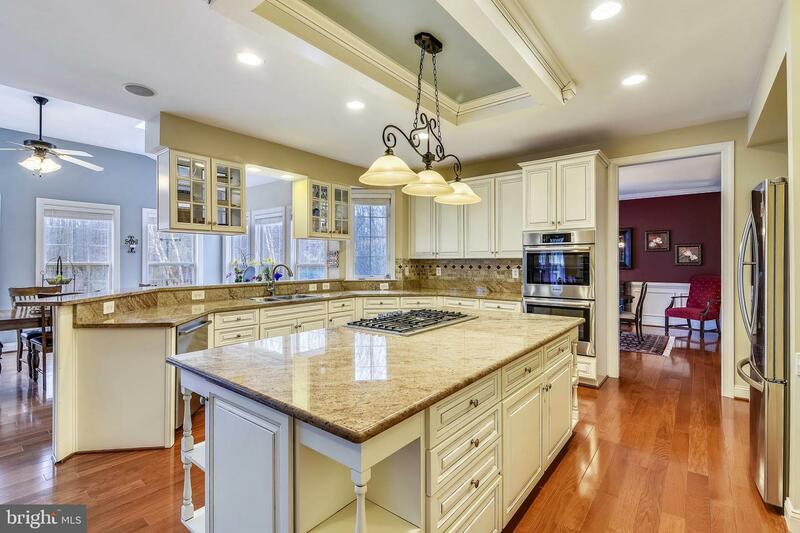 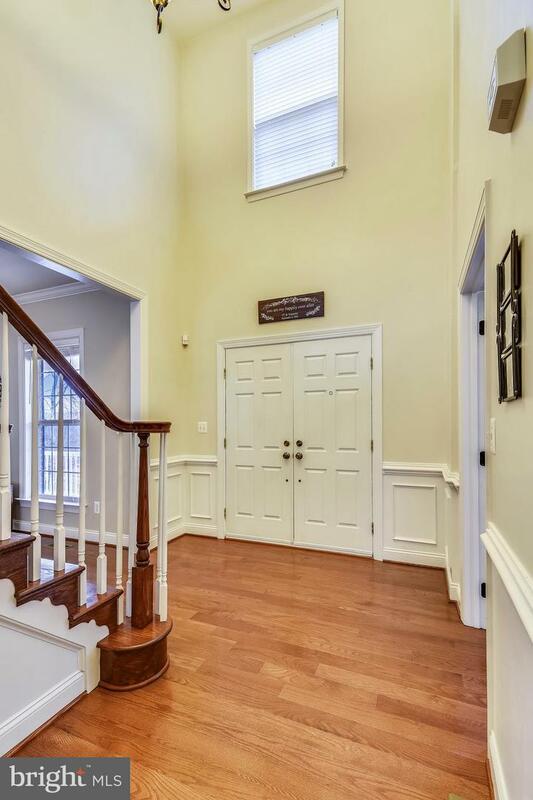 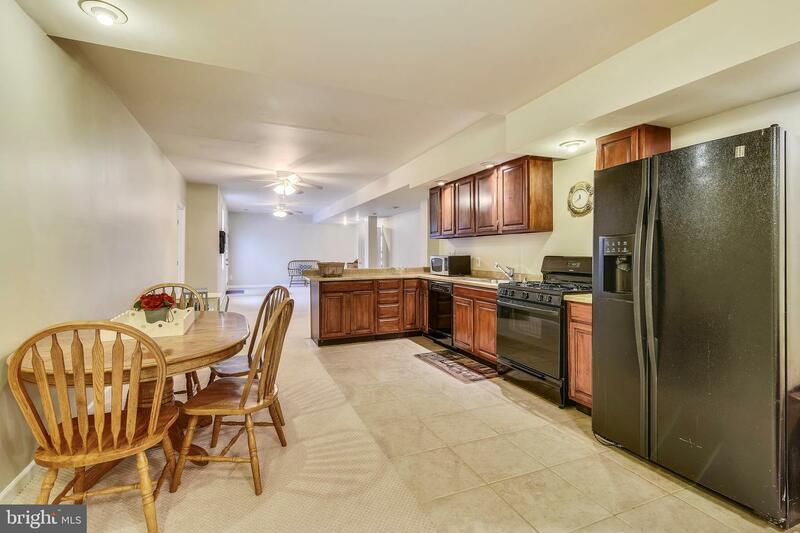 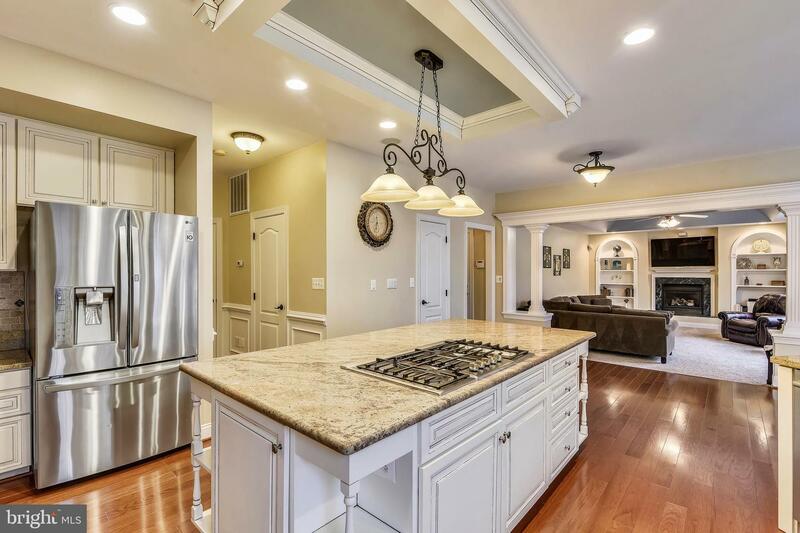 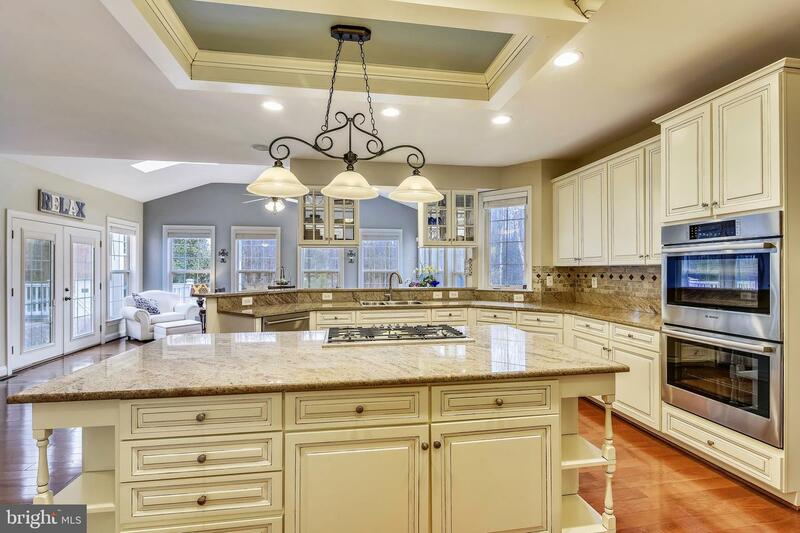 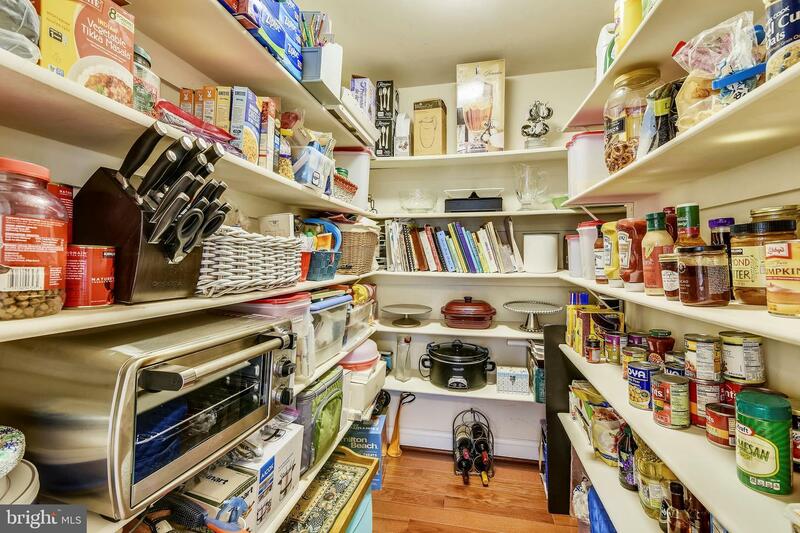 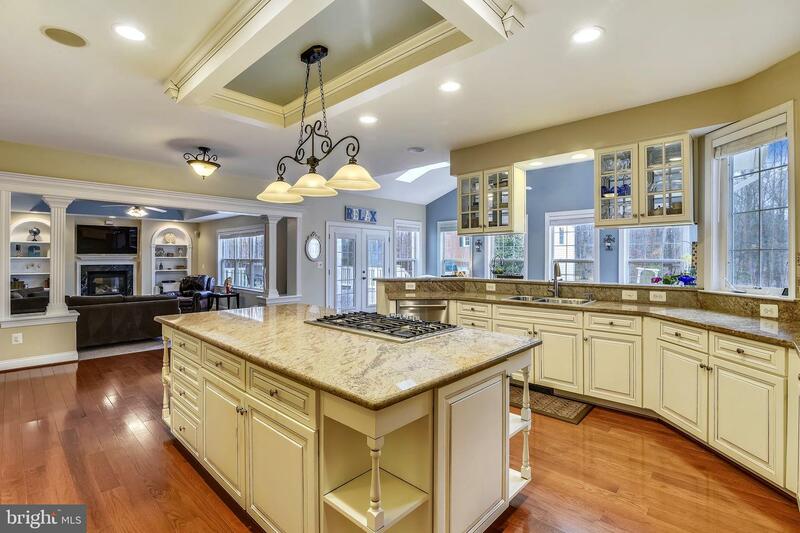 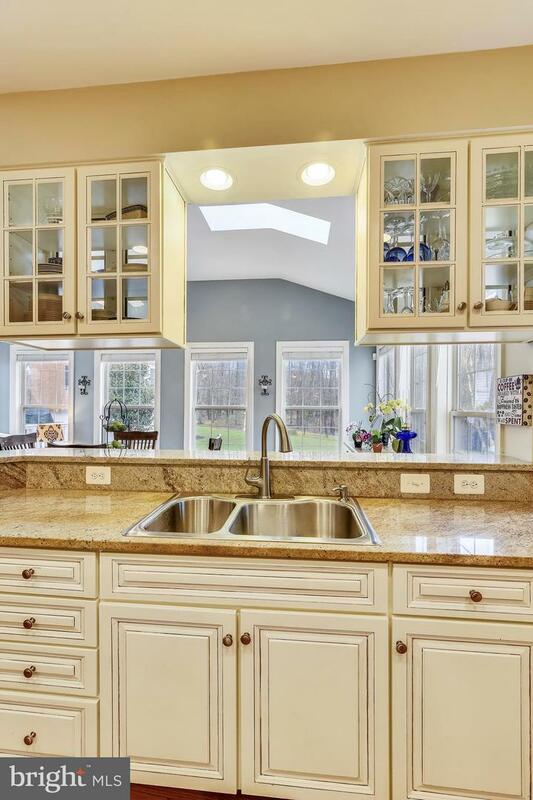 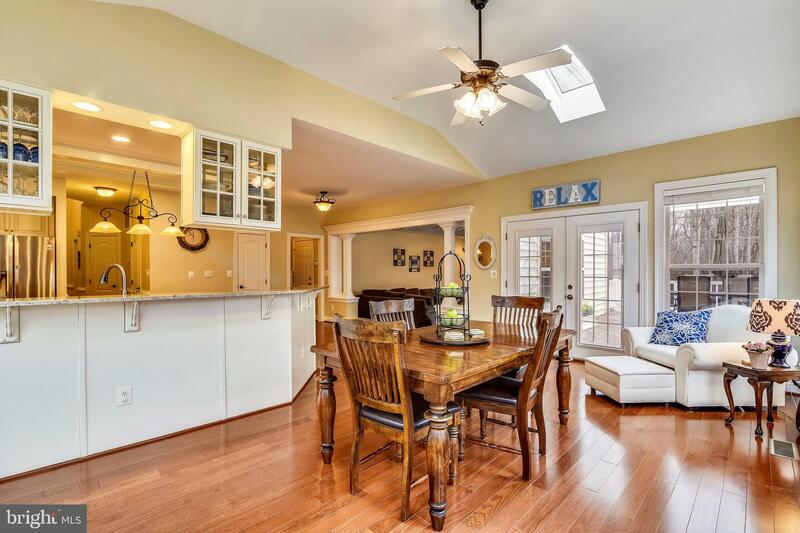 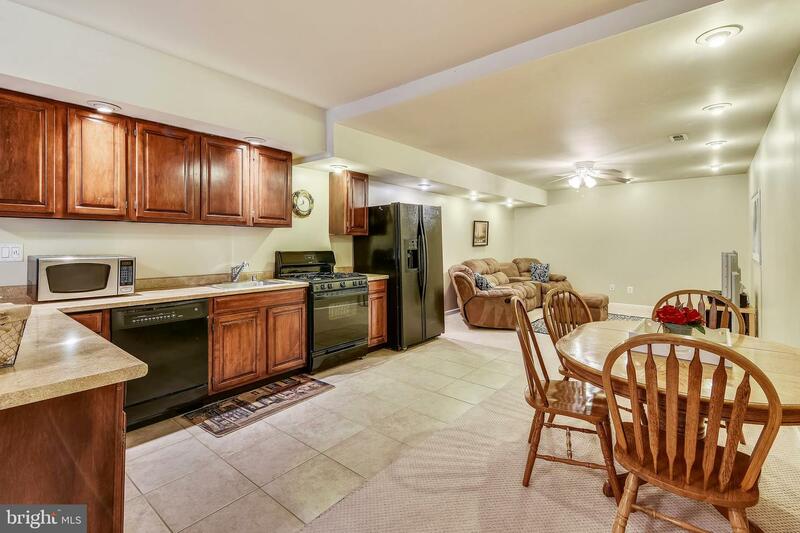 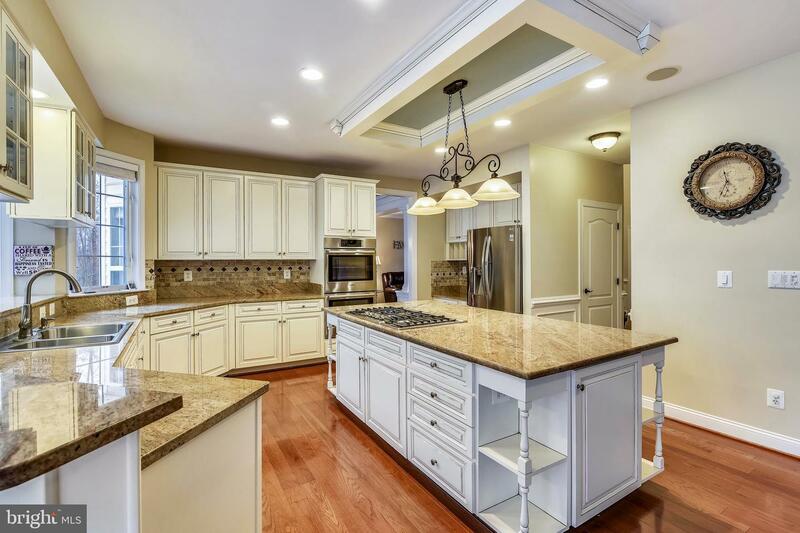 Inside the main house, you will appreciate the dream gourmet kitchen which features hardwood floors, granite countertops, a large island, double oven, 5-burner cooktop, designer backsplash, and updated lighting. 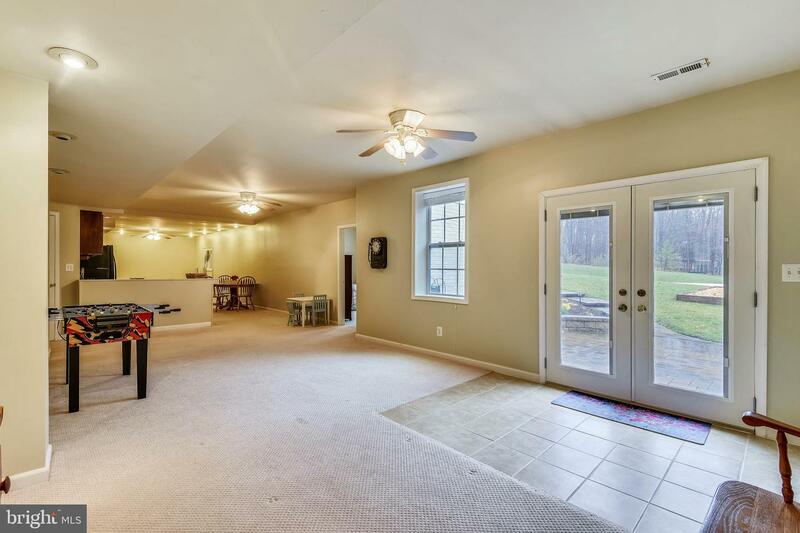 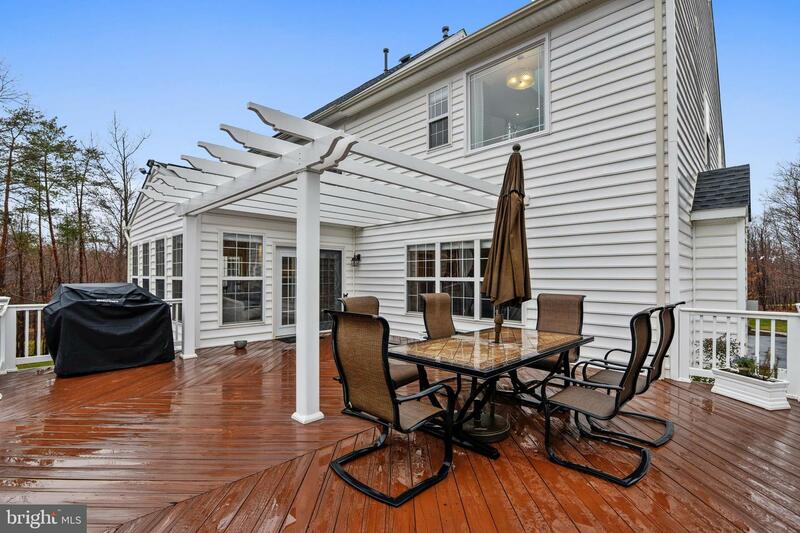 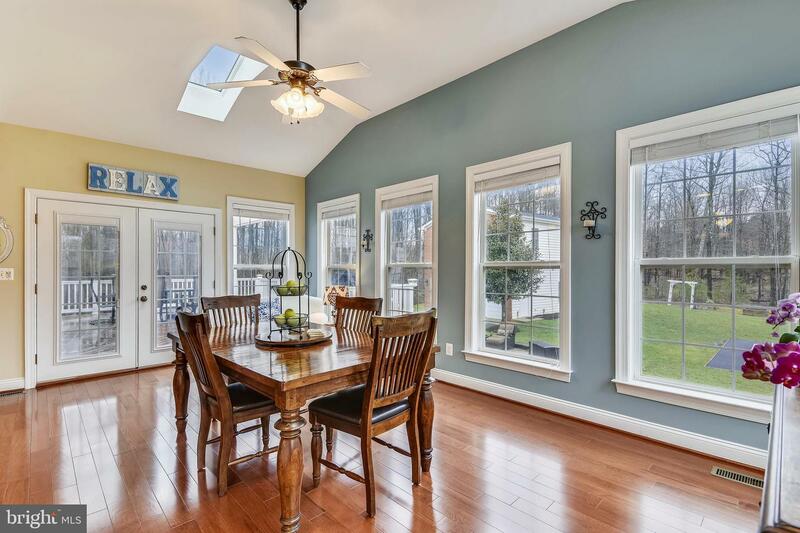 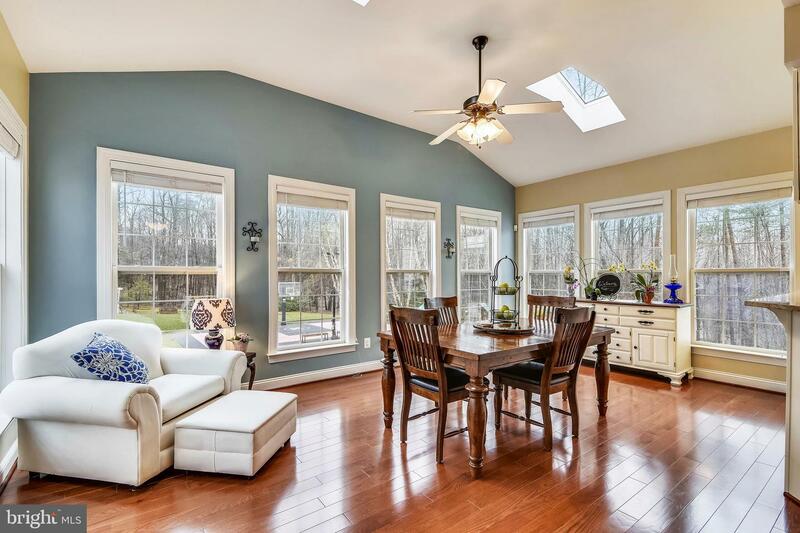 The adjoining Sun Room lets in lots of natural light and opens through French doors onto a large deck, great for that second cup of coffee and fair-weather summer evening suppers. 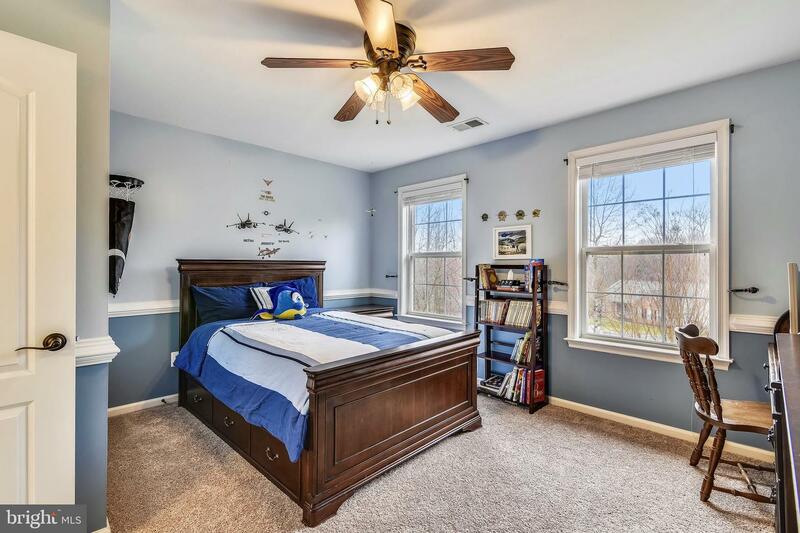 The nearby Family Room has new carpeting, a fireplace with built-in bookcases, tray ceiling, and a Bose surround sound system which conveys.Upstairs, the recently-renovated Master Bedroom Suite presents a sitting room, cathedral ceiling, recessed lighting, large walk-in closet with handcrafted cabinets and shelving. 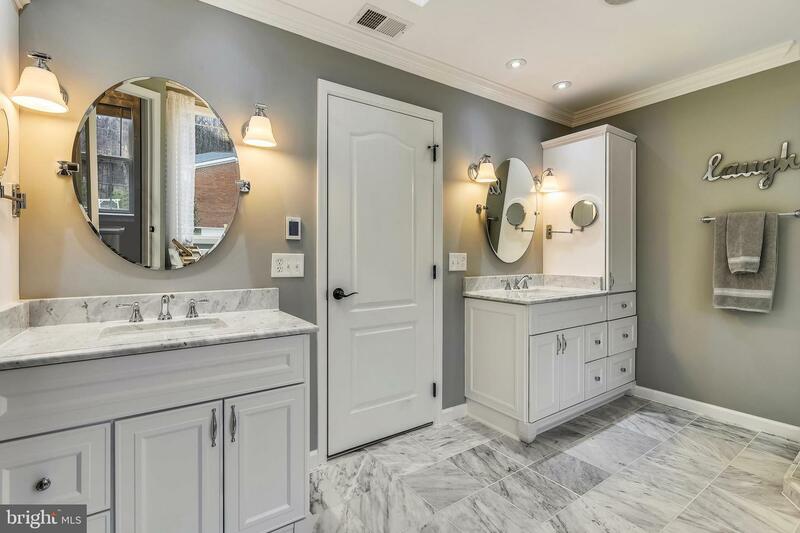 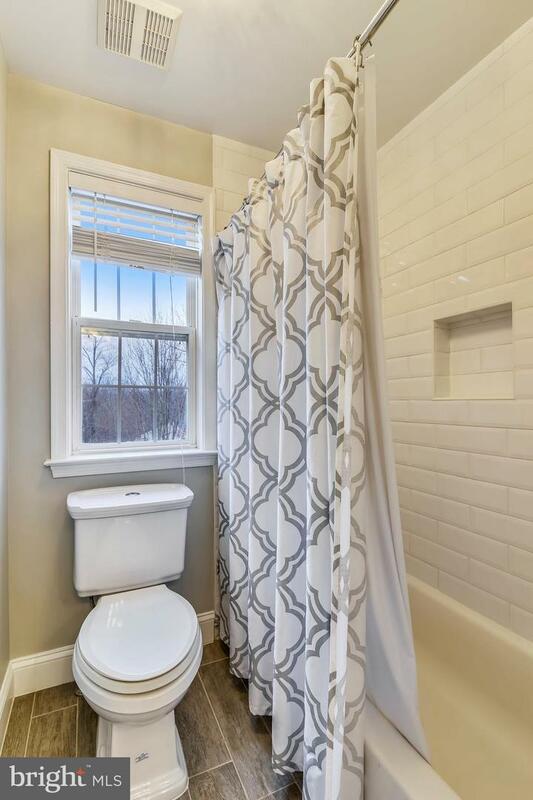 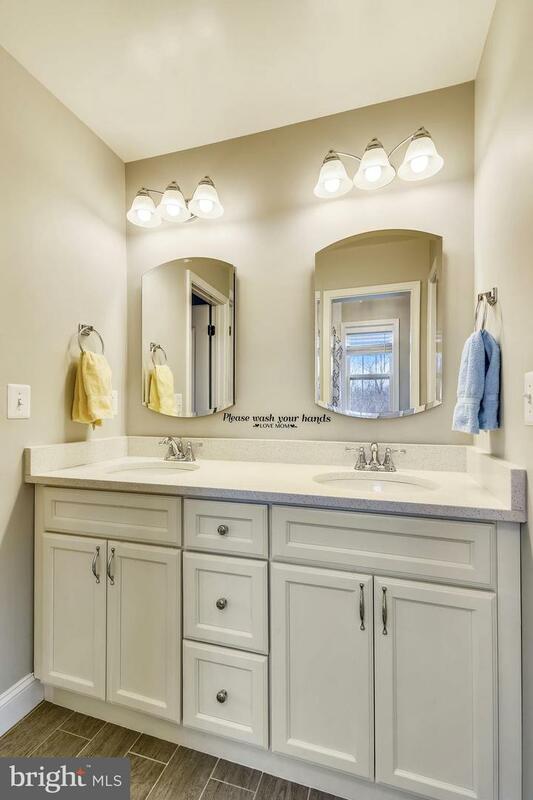 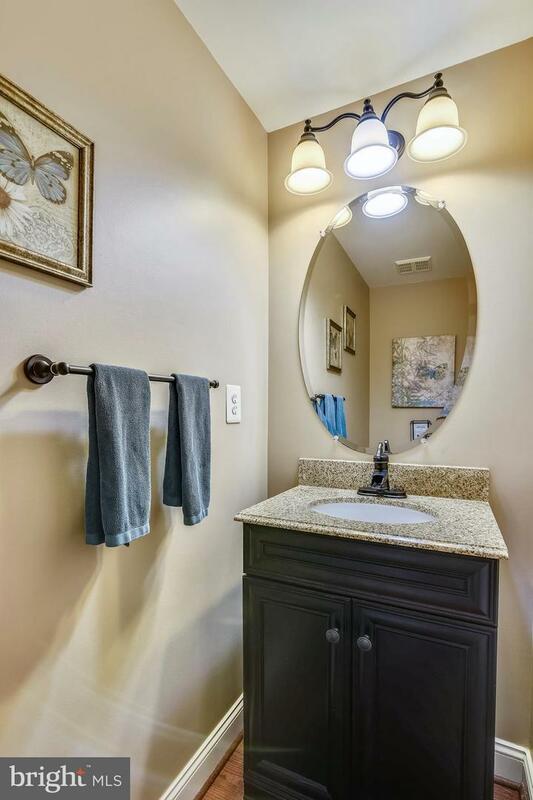 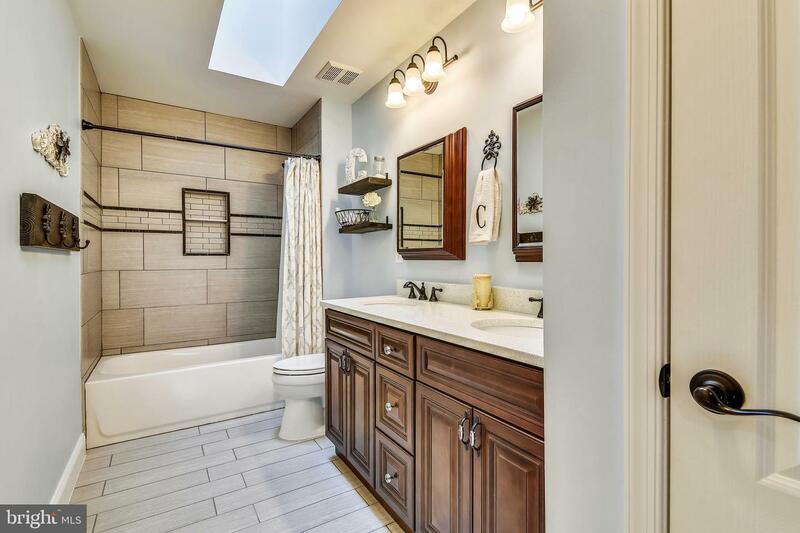 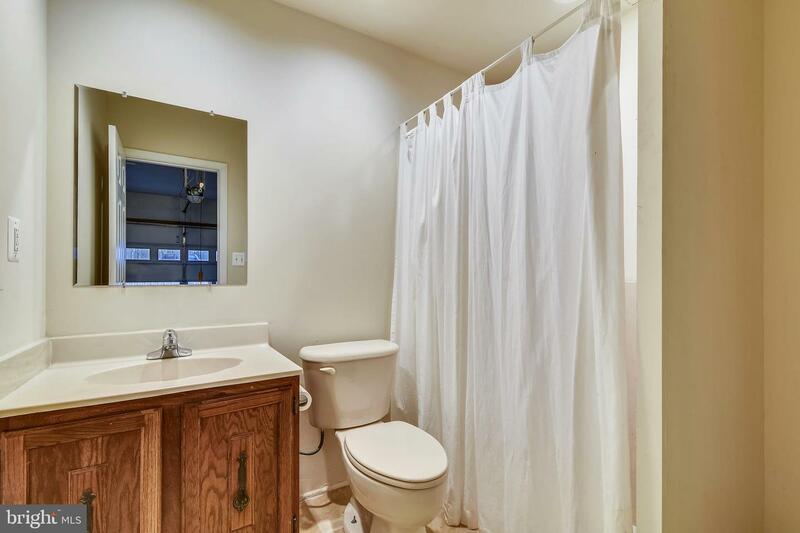 The Magnolia style Spa- like marble Master Bath has programmable heated floors, large soaking tub, custom cabinets, soft-close drawers, his and her sinks, dual shower heads, and exceptional frameless marble shower. 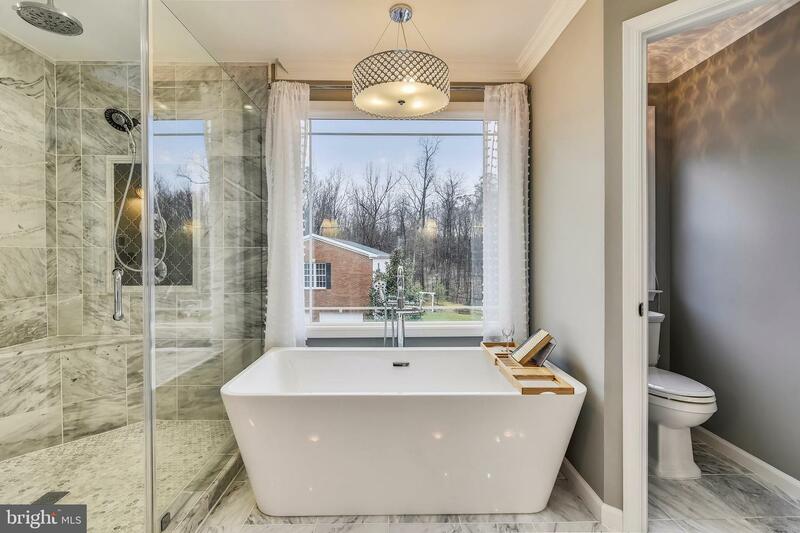 The two other upper level baths are also beautiful with double vanities, wood cabinetry, a skylight, quartz countertops, and porcelain tile. 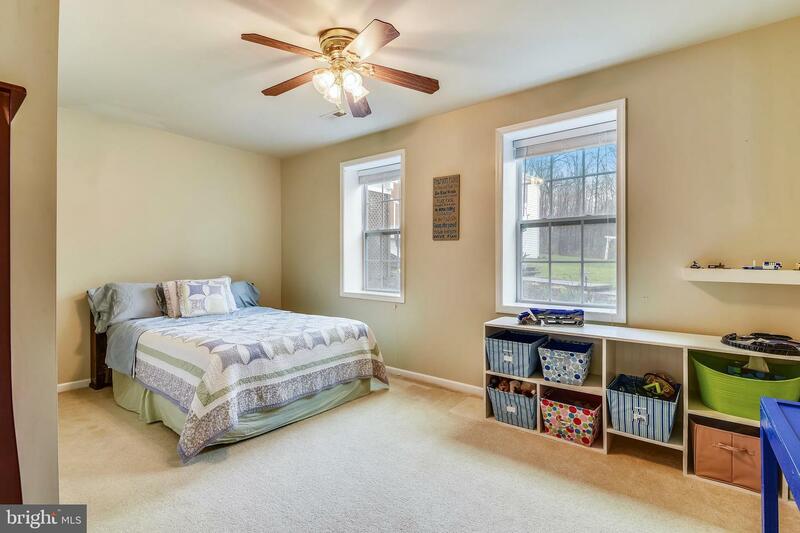 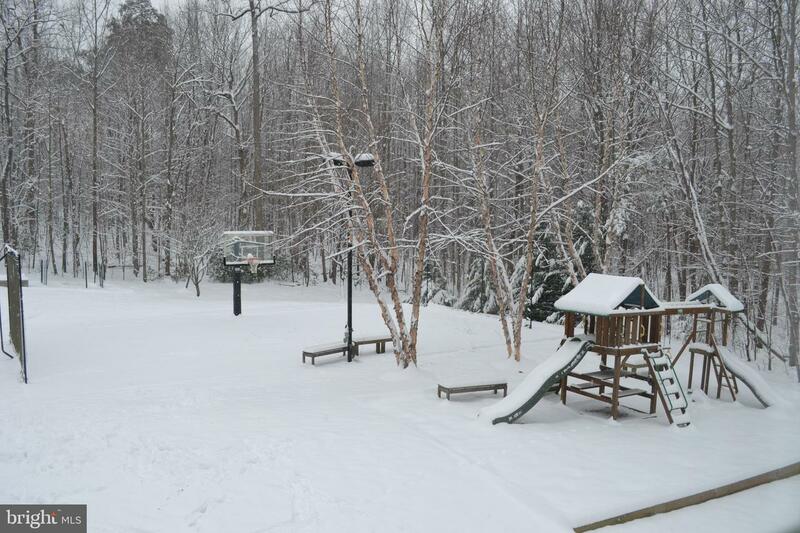 The upper level offers 3 additional Bedrooms. 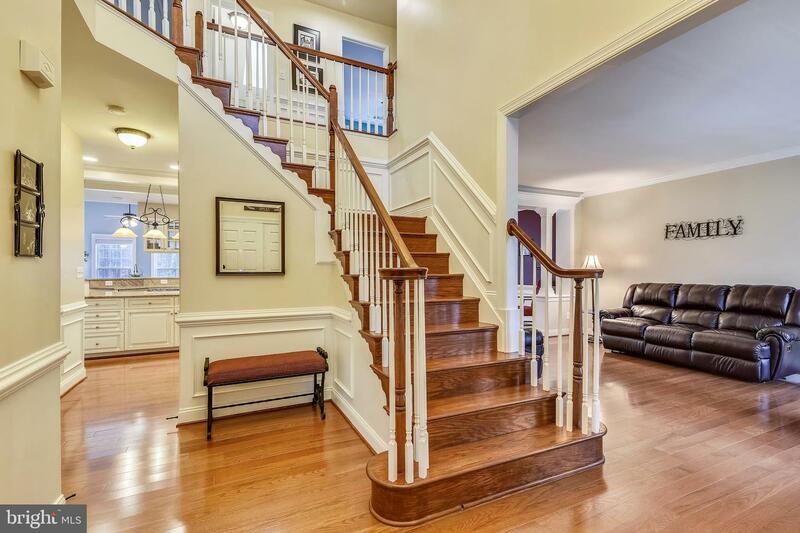 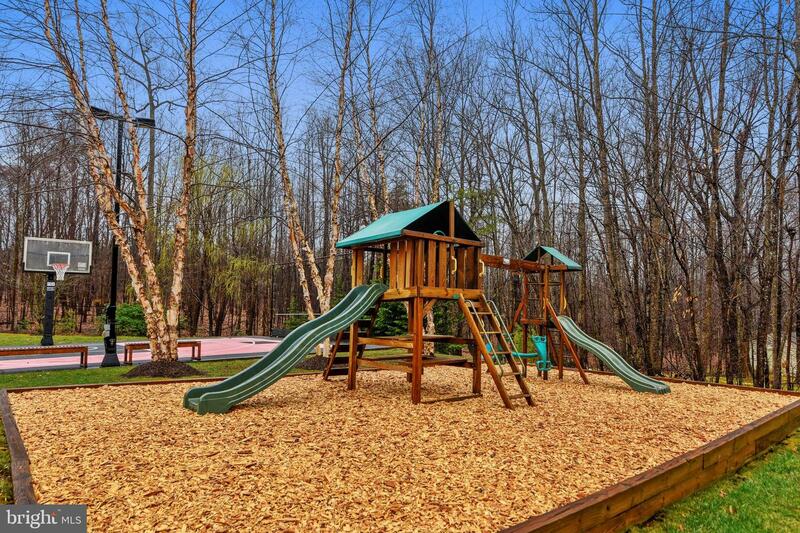 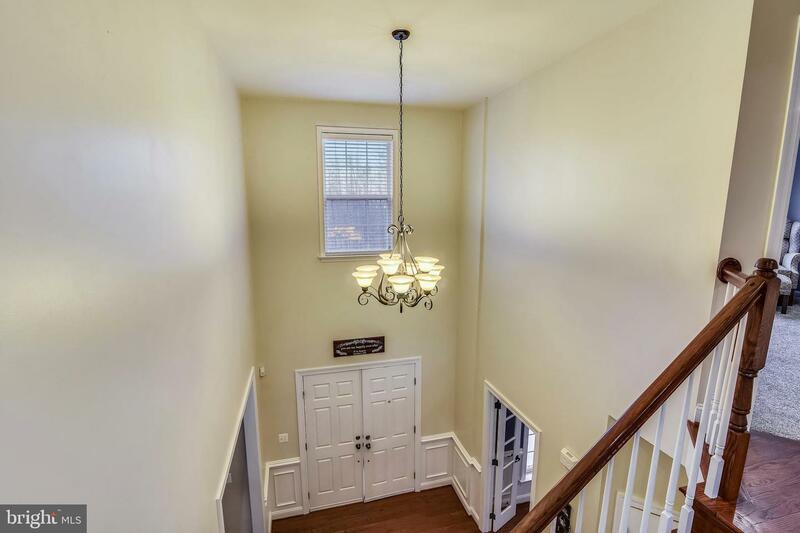 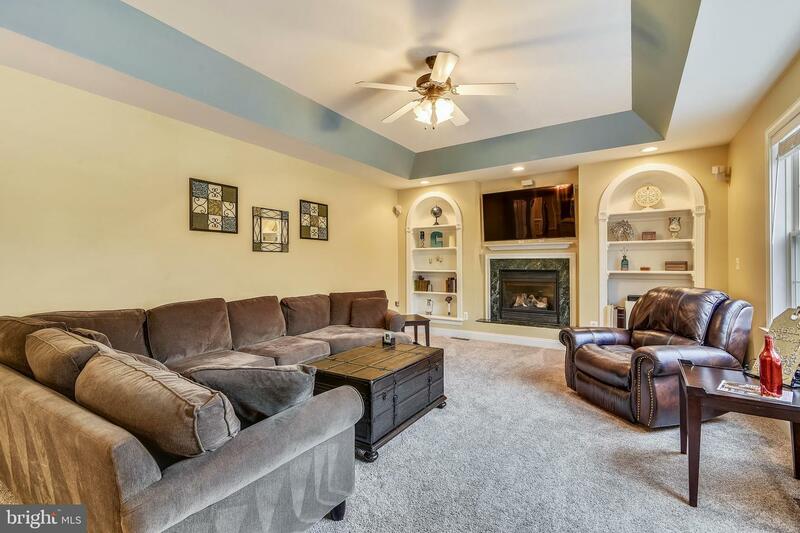 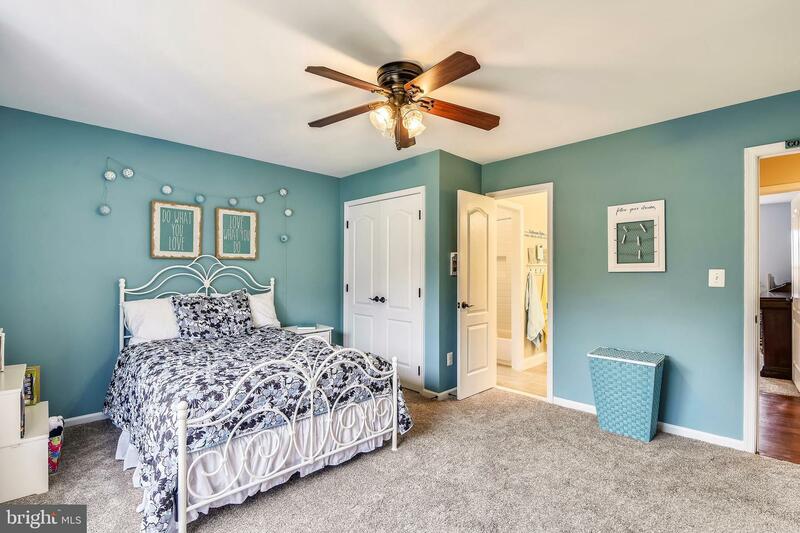 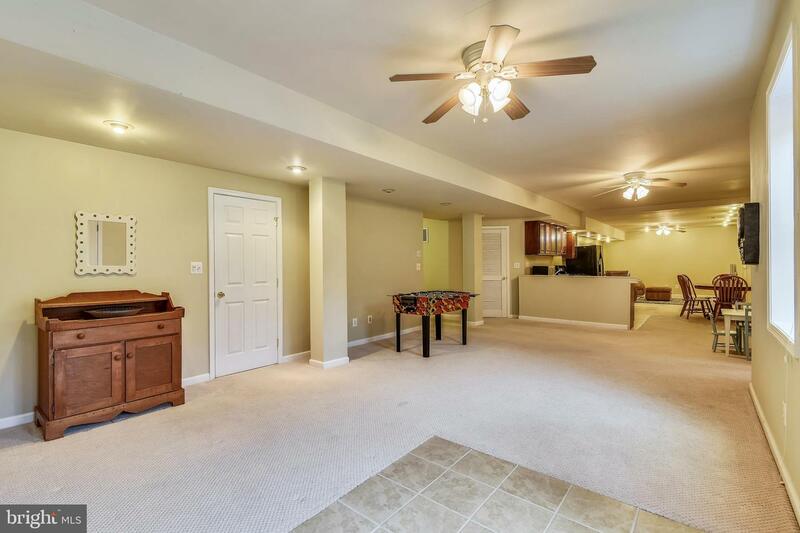 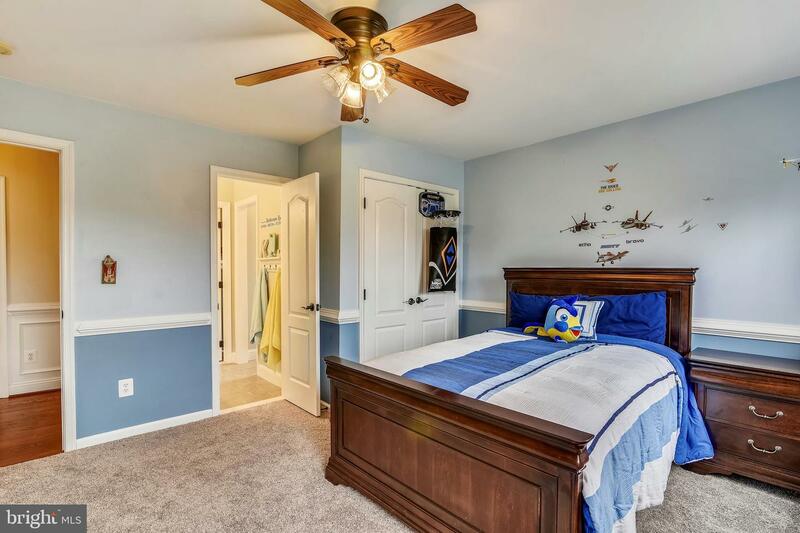 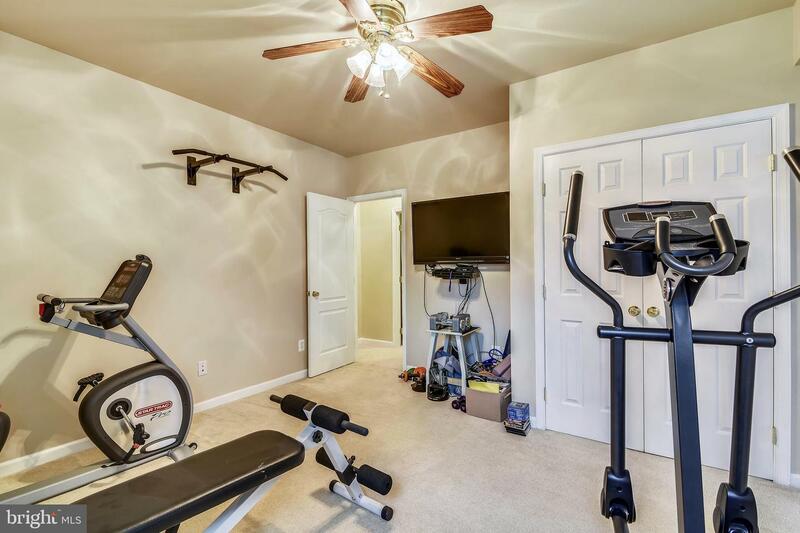 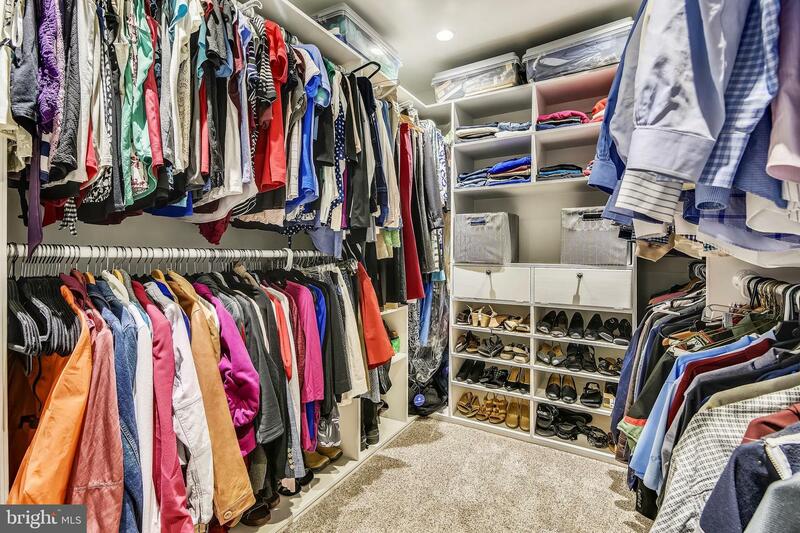 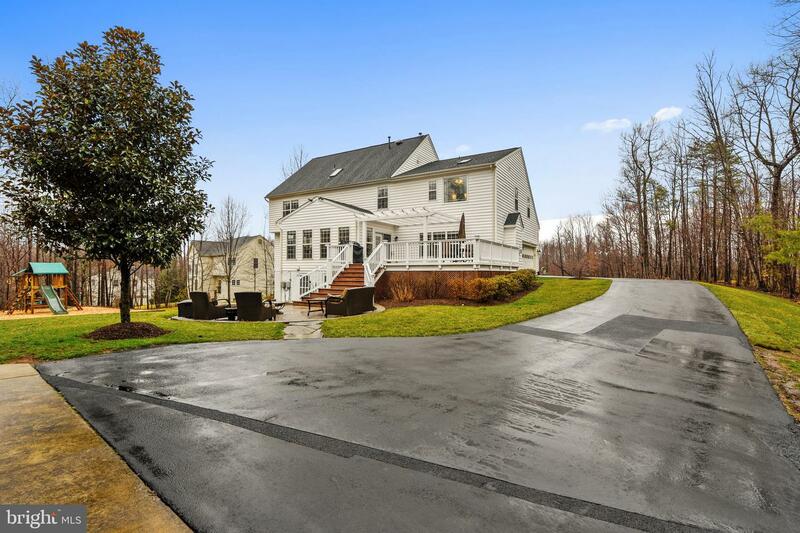 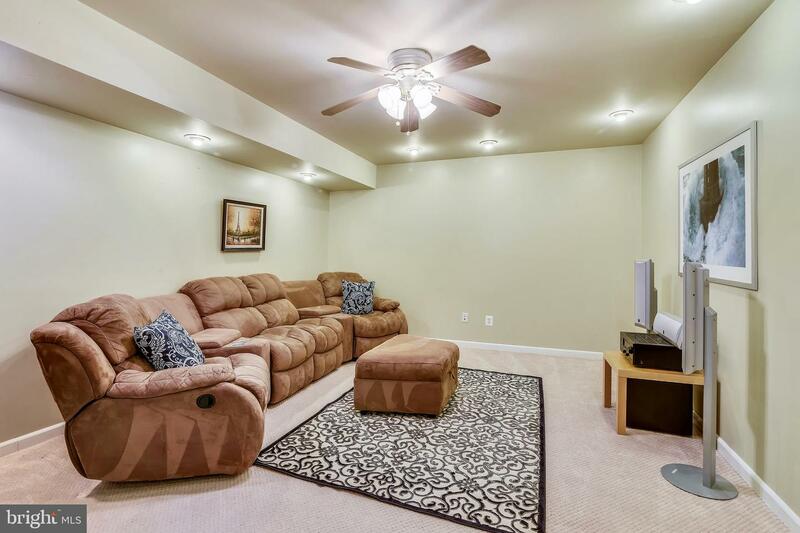 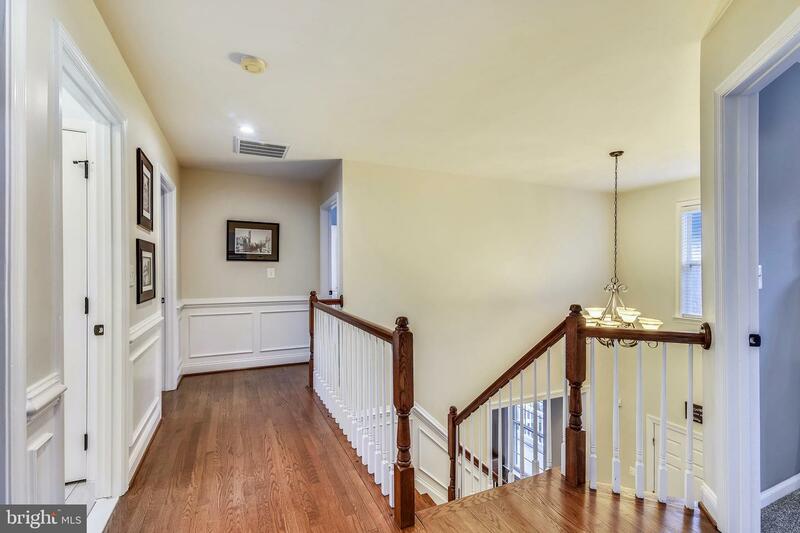 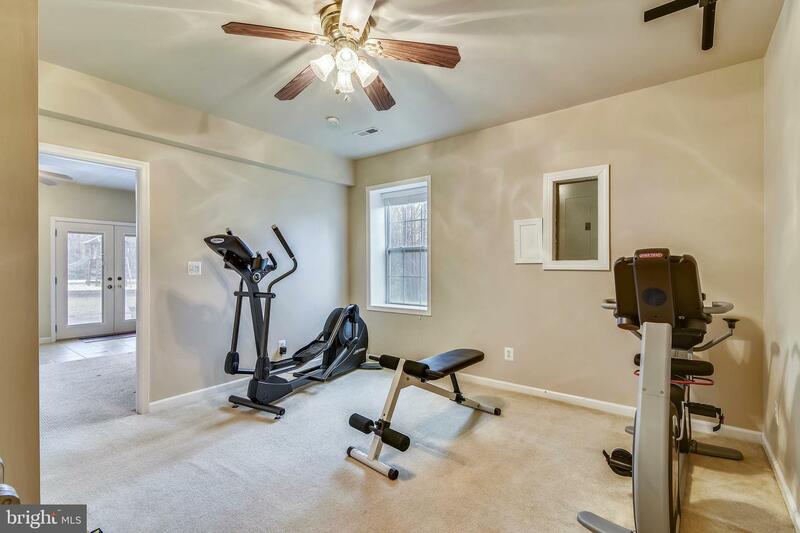 Lower level features: large rec room walk-out to custom hand laid stone patio; 5th bedroom, 4th bath, kitchenette, exercise room and second laundry /storage room. 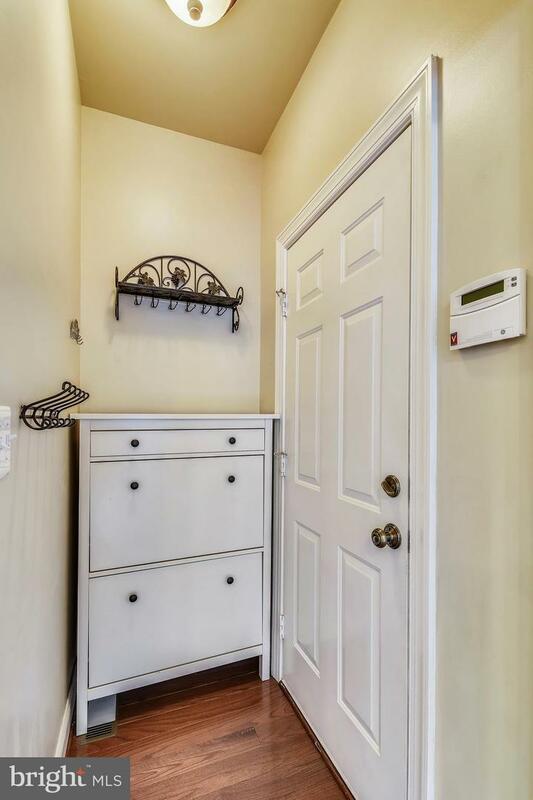 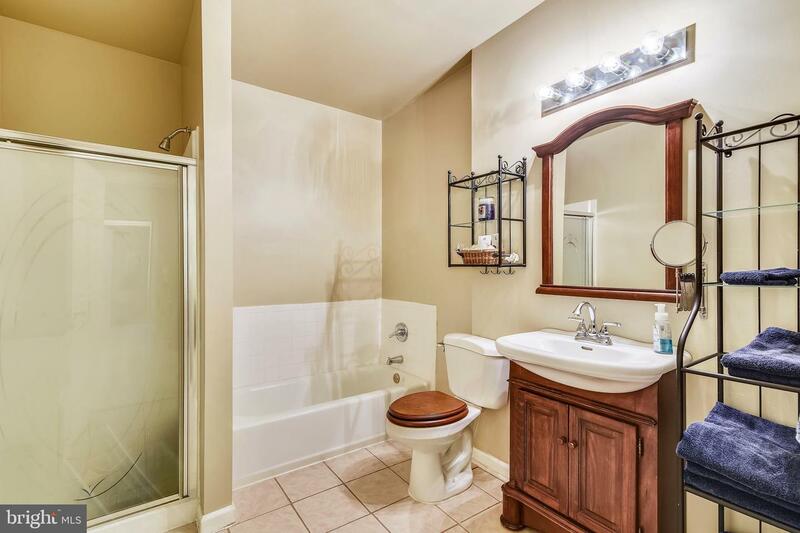 There is also a walkout through French doors onto a to a separate private patio. 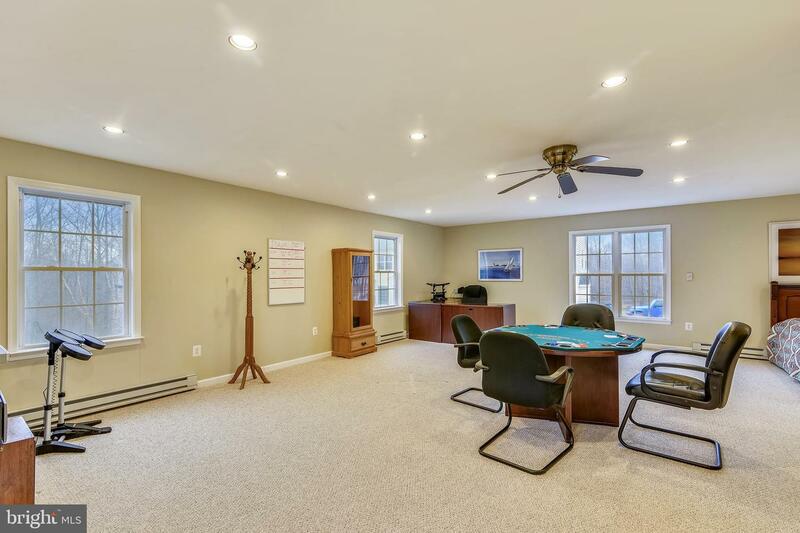 Truly a wonderful property.